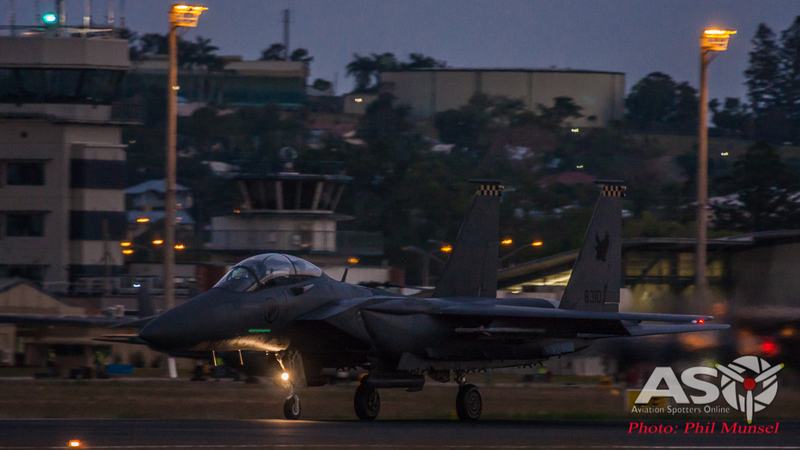 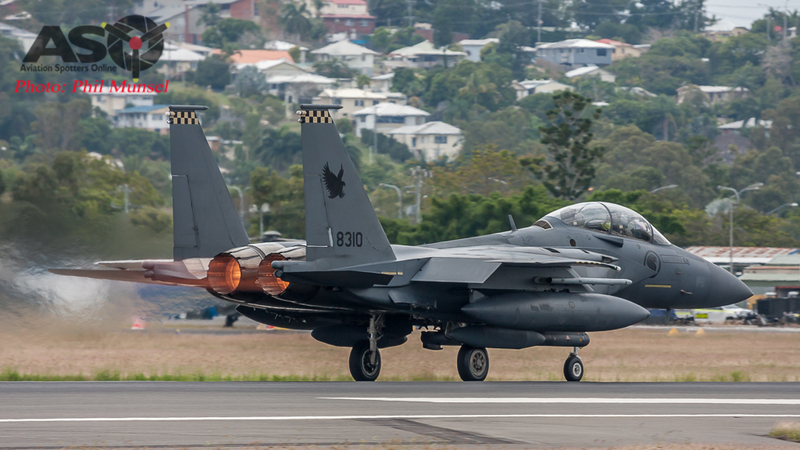 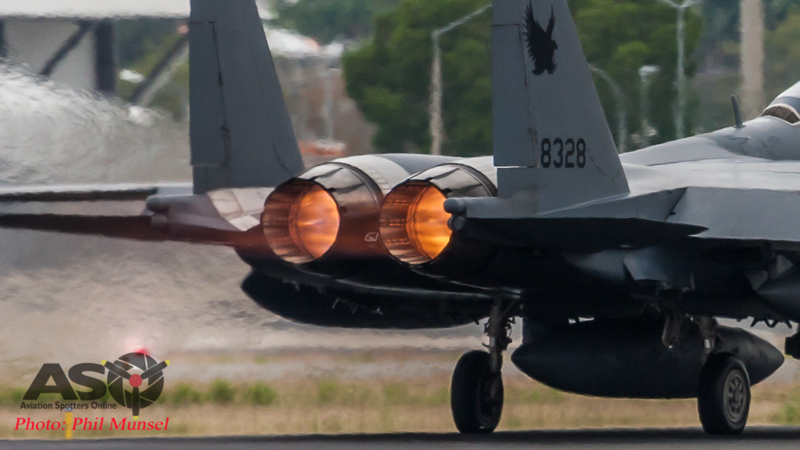 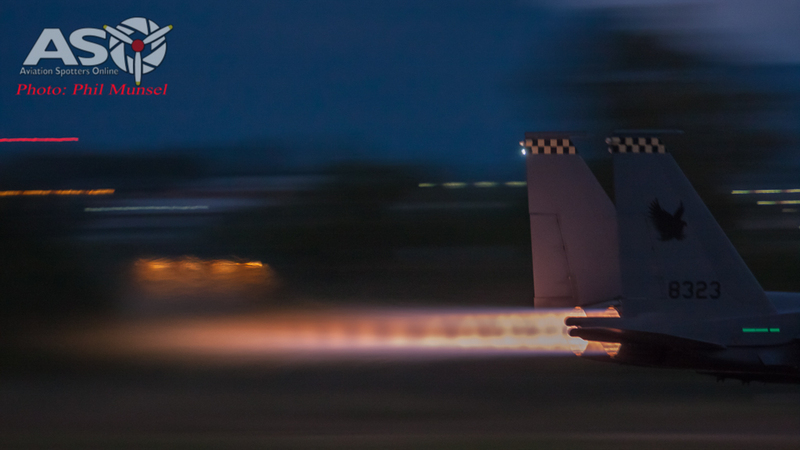 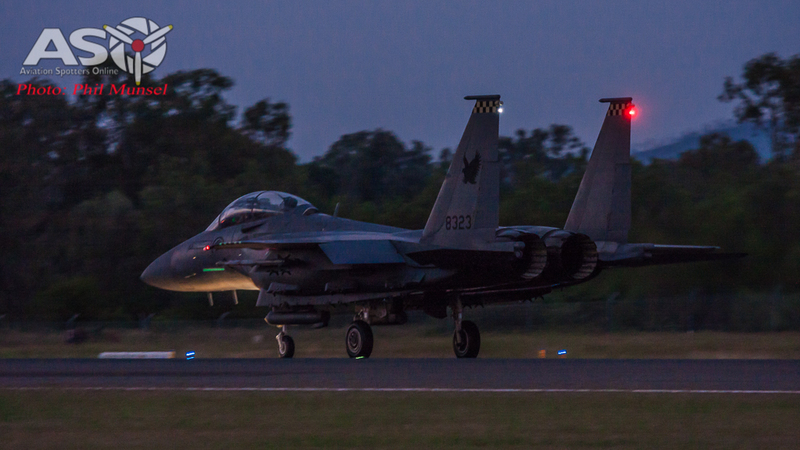 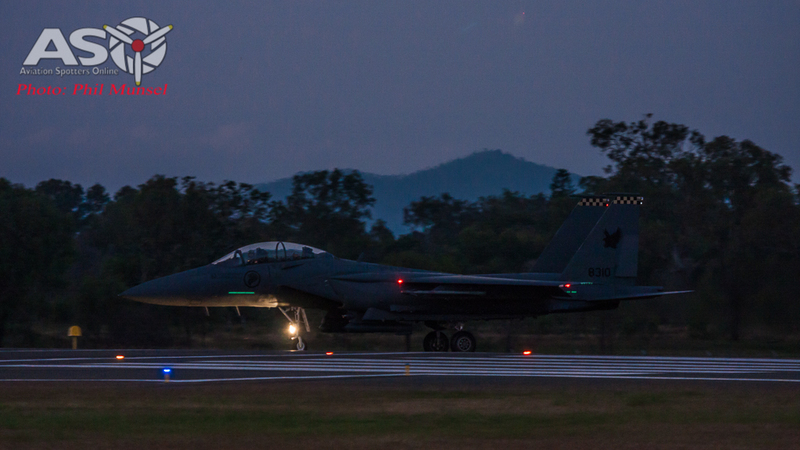 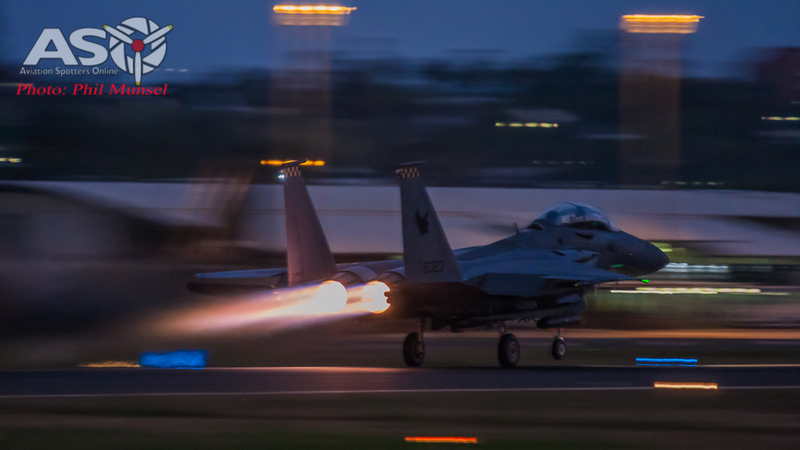 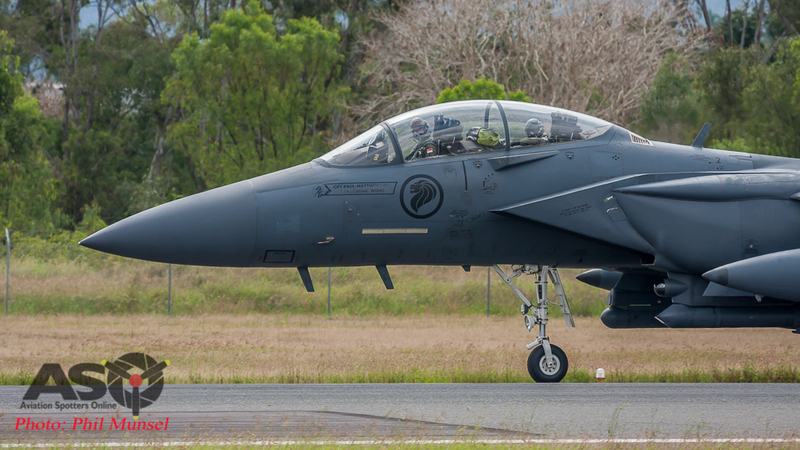 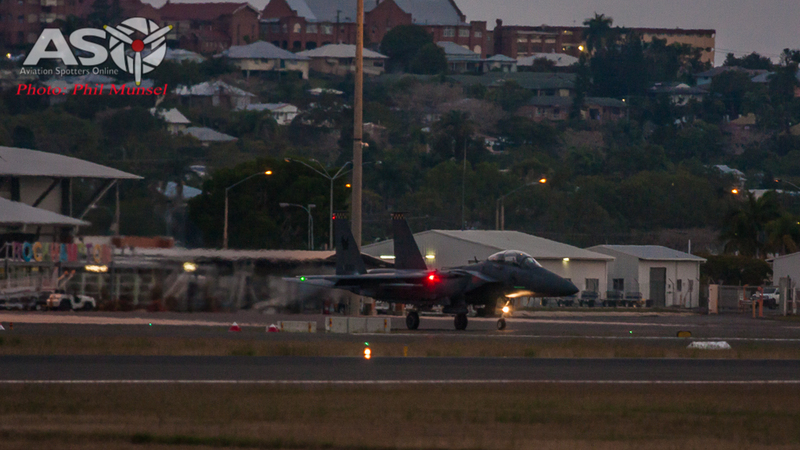 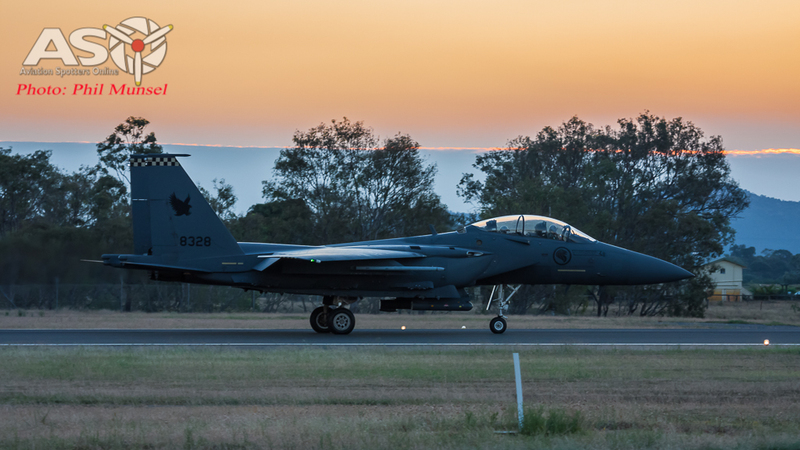 RSAF F-15SG’s are regular visitors to Exercise Pitch Black in Northern Australia and have recently completed a 3 week multi-national deployment in the Top End. 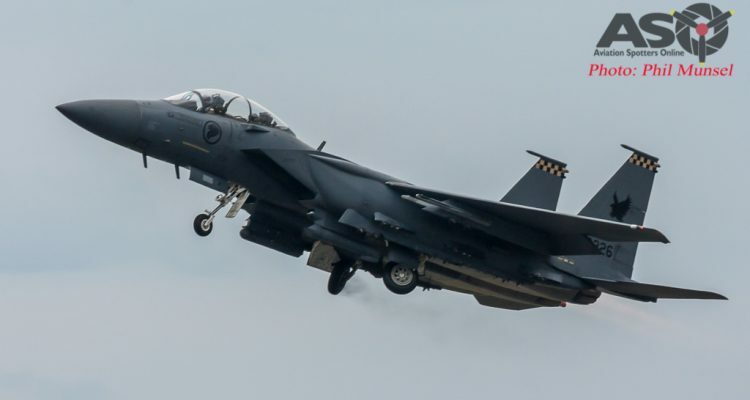 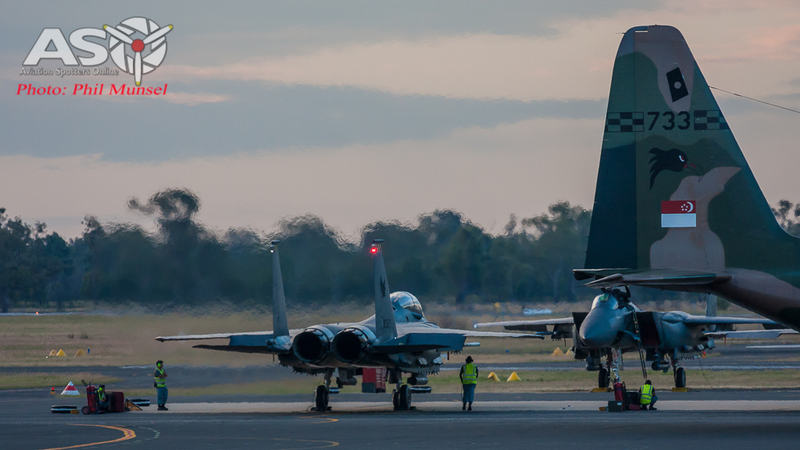 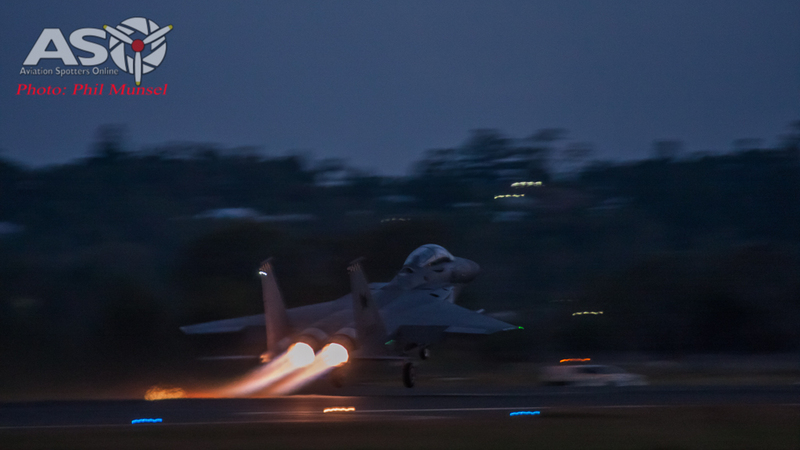 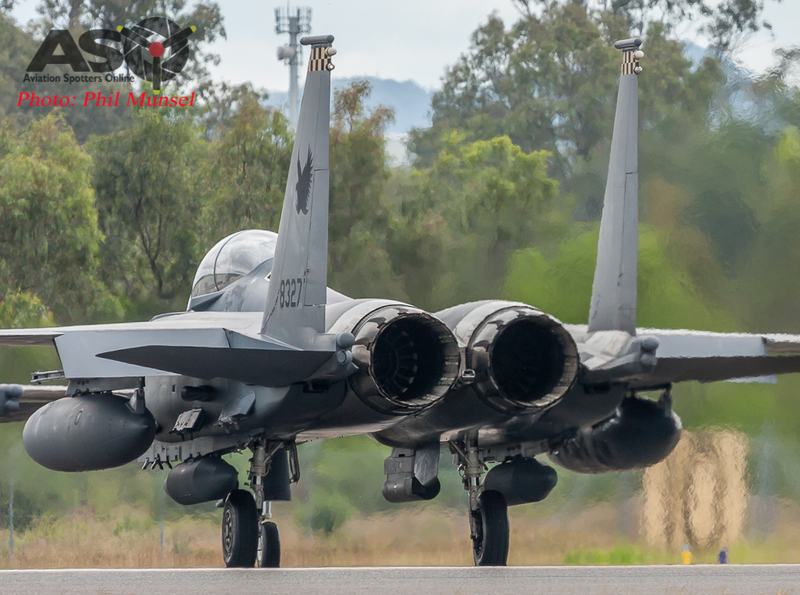 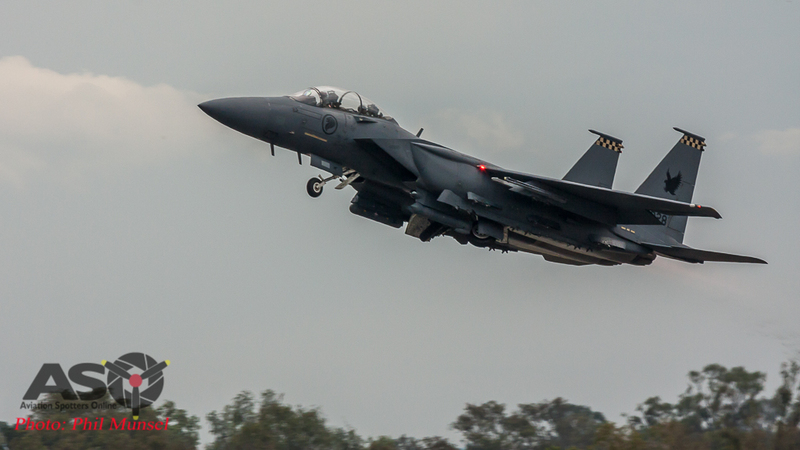 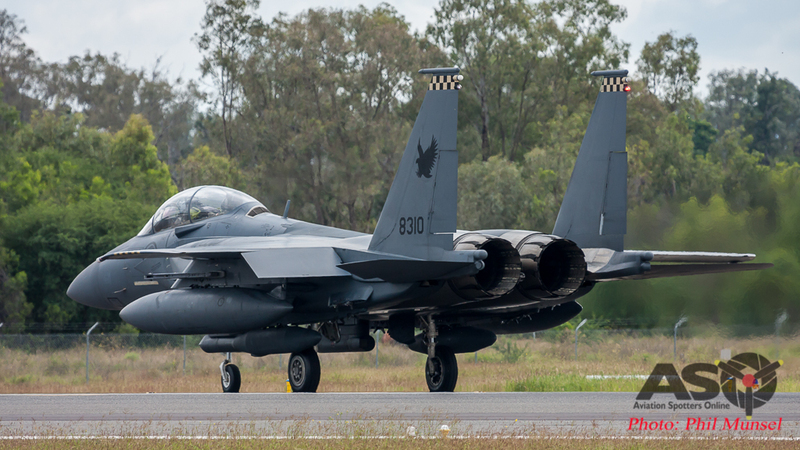 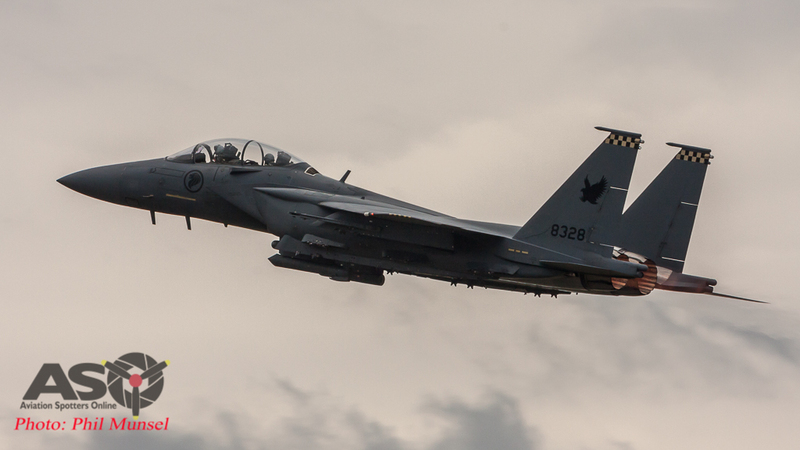 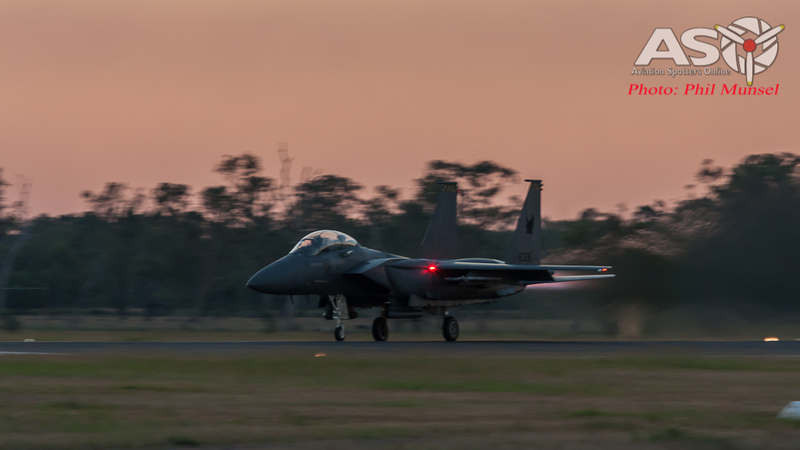 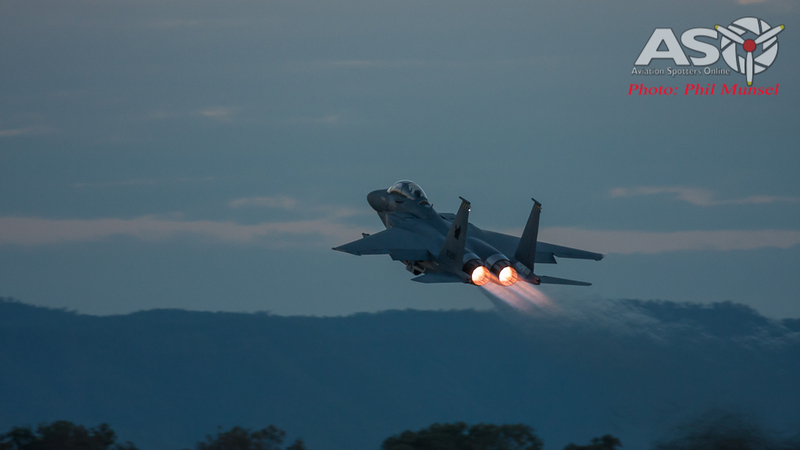 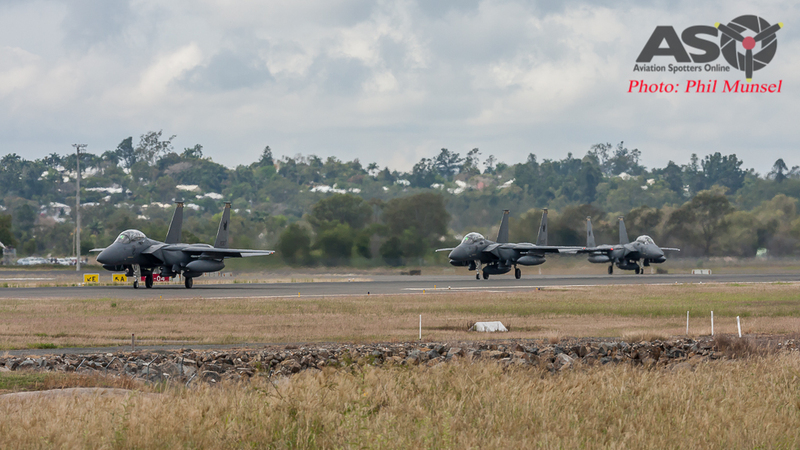 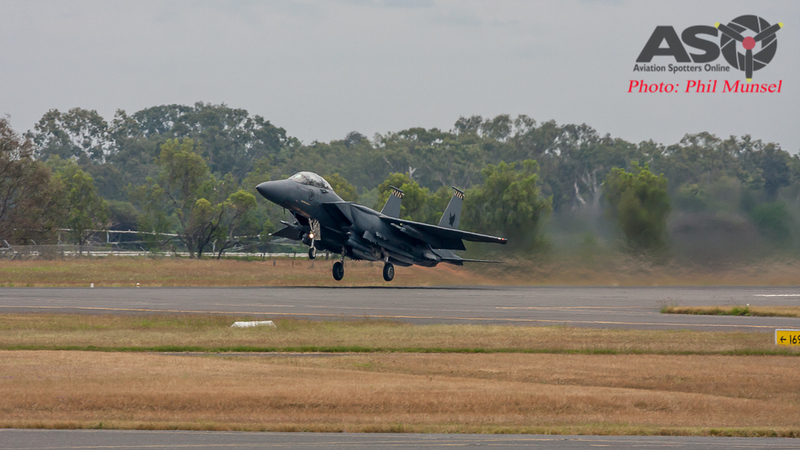 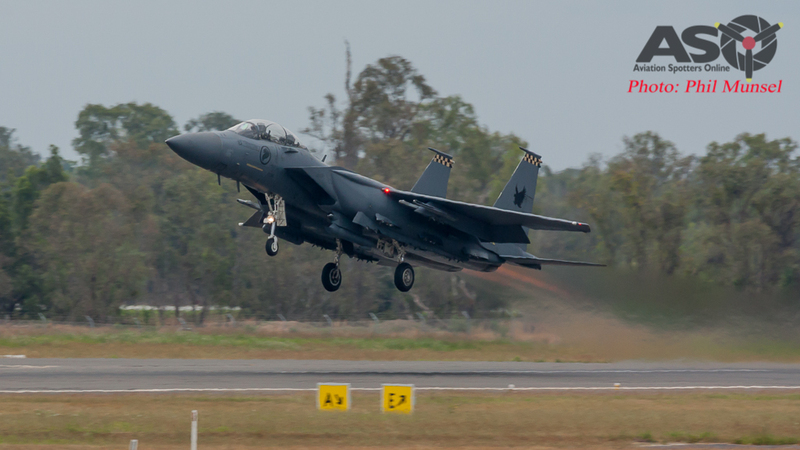 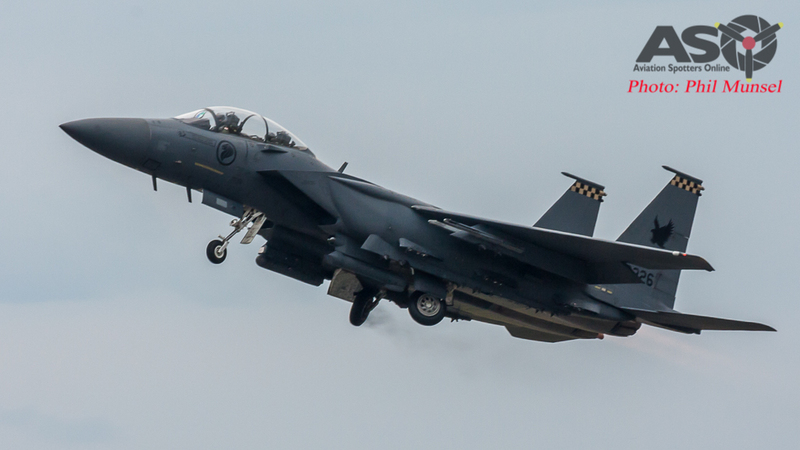 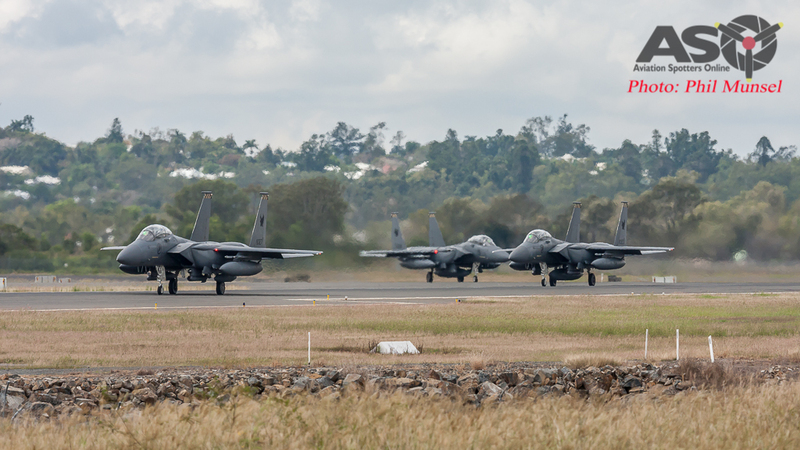 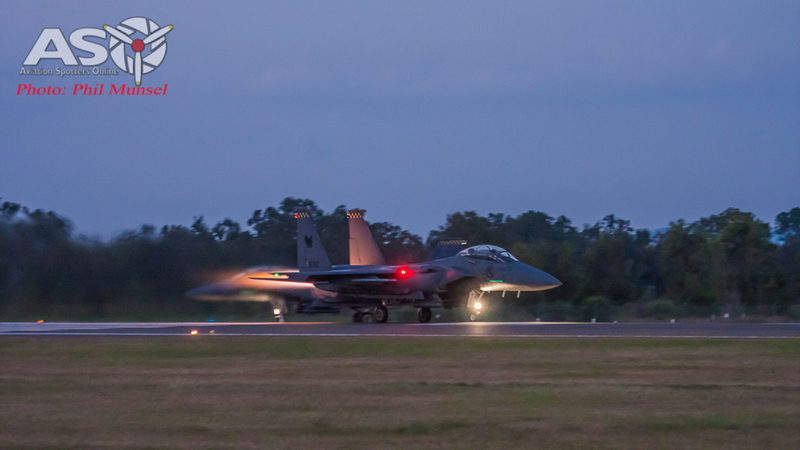 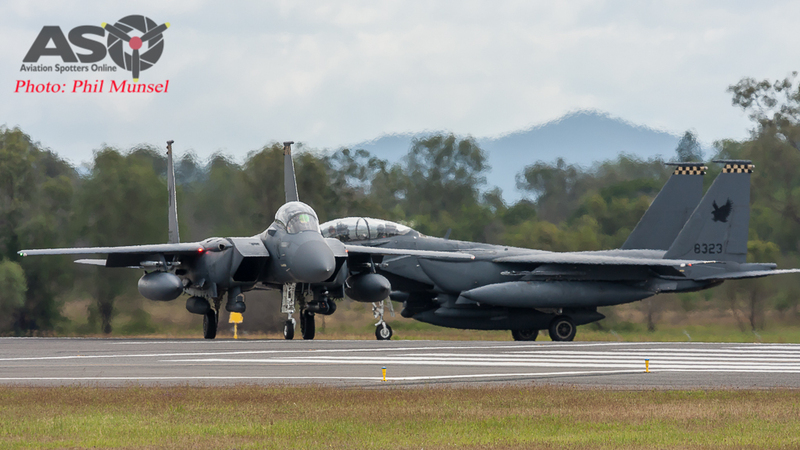 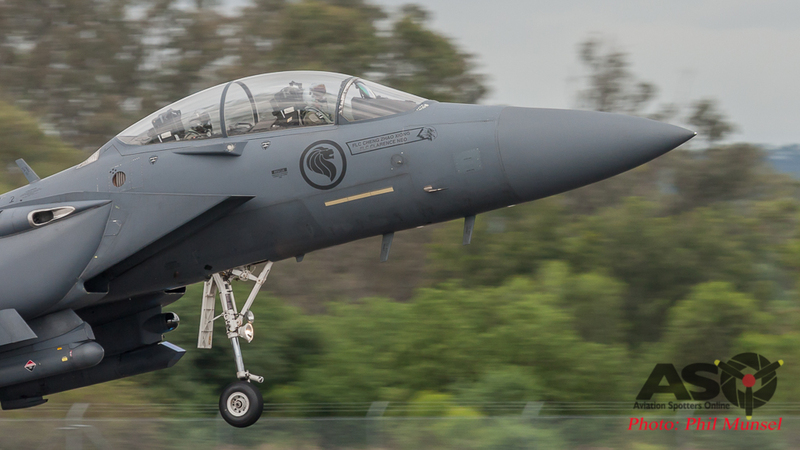 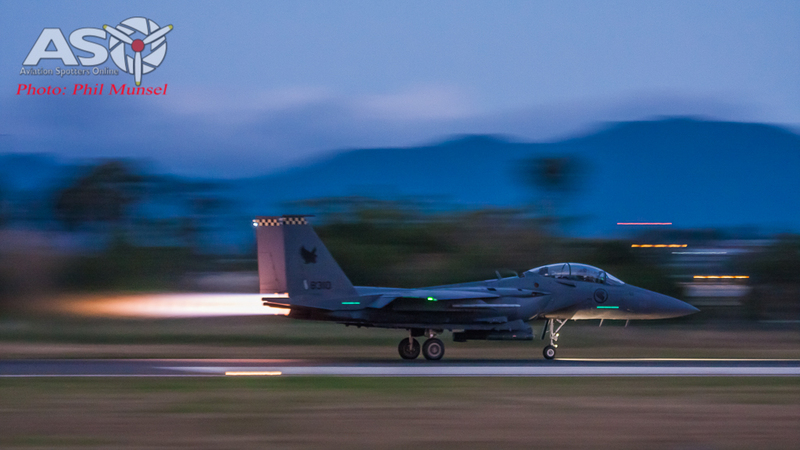 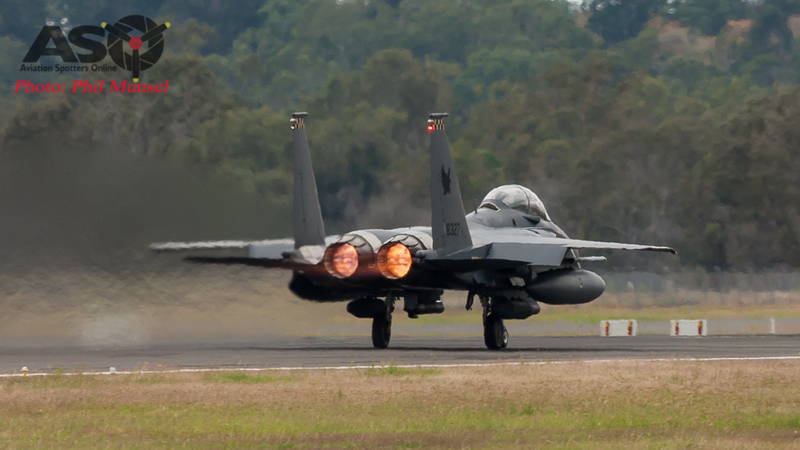 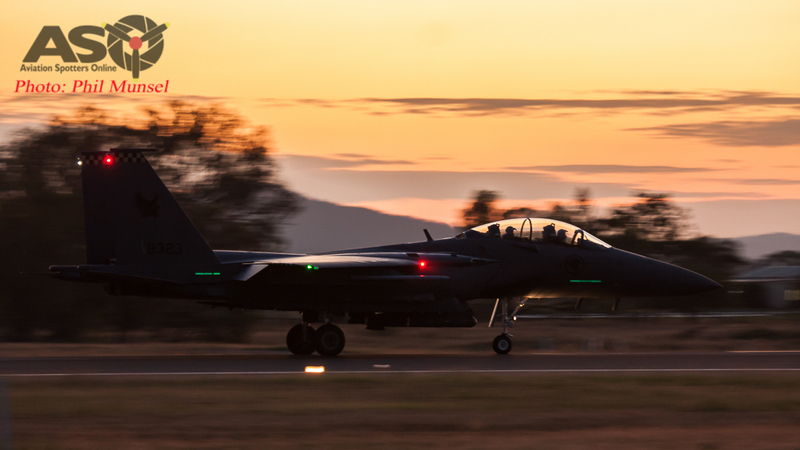 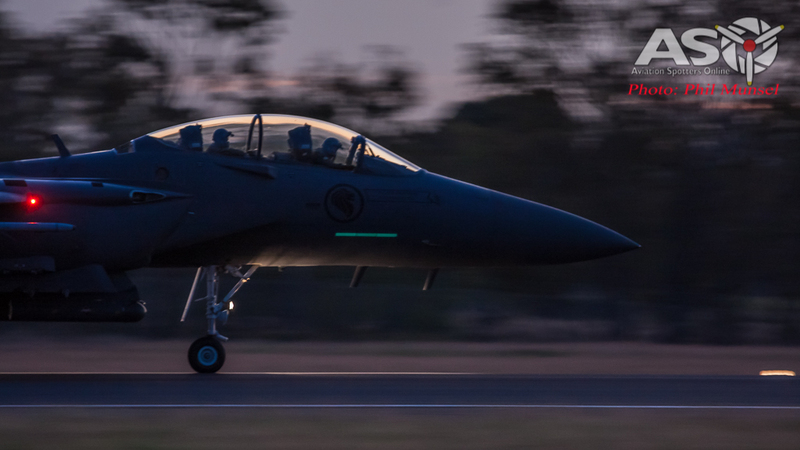 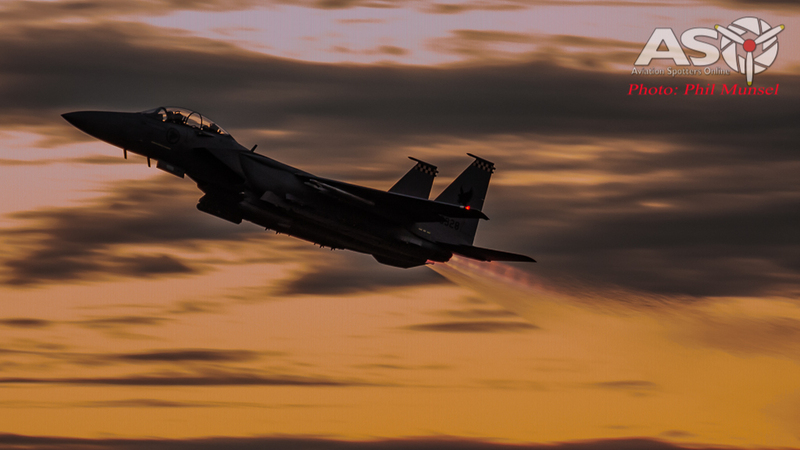 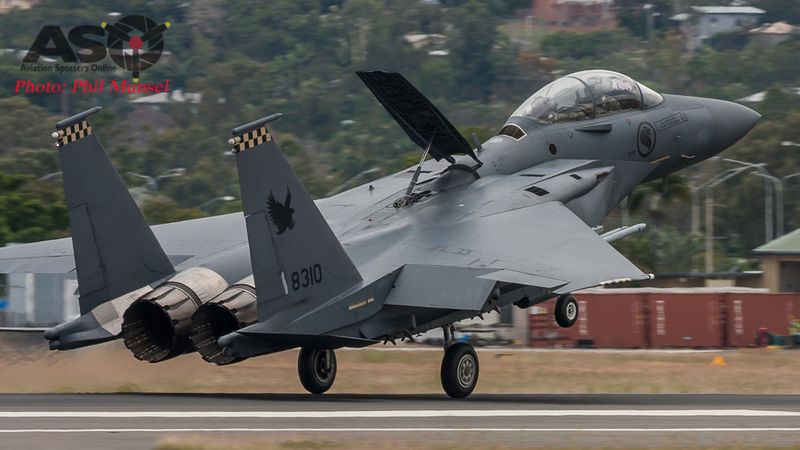 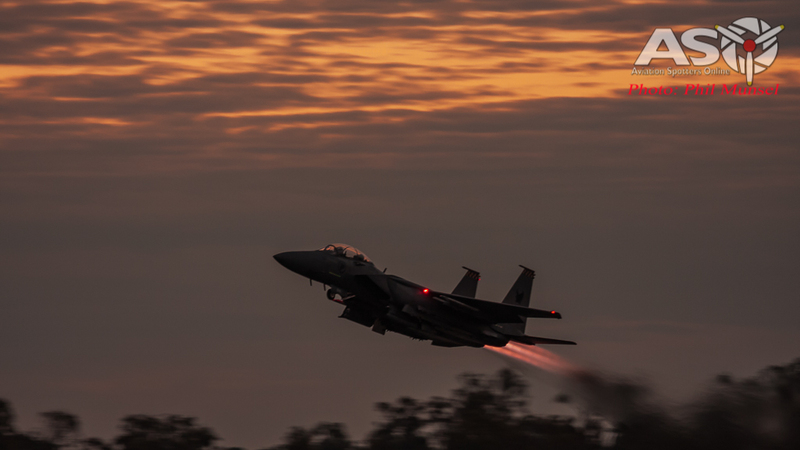 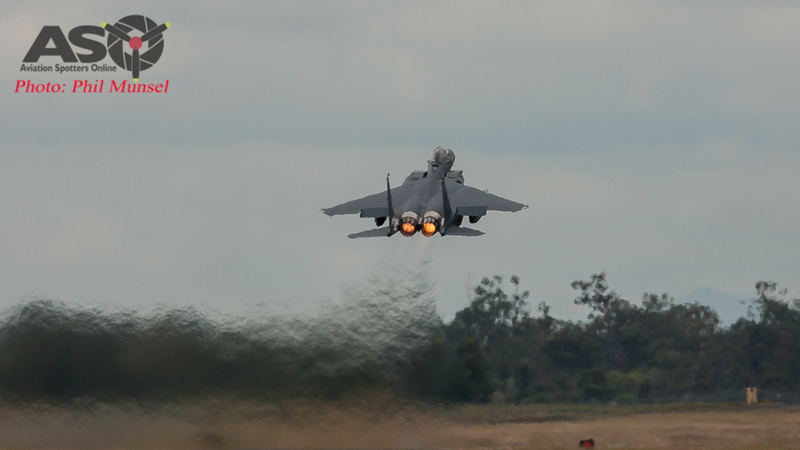 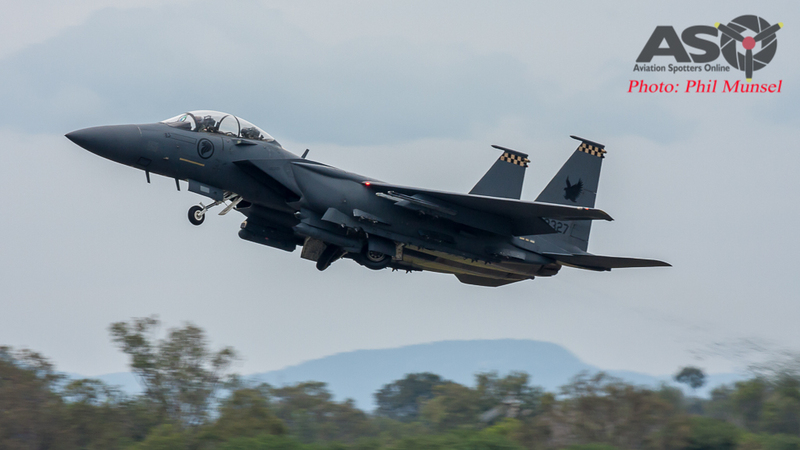 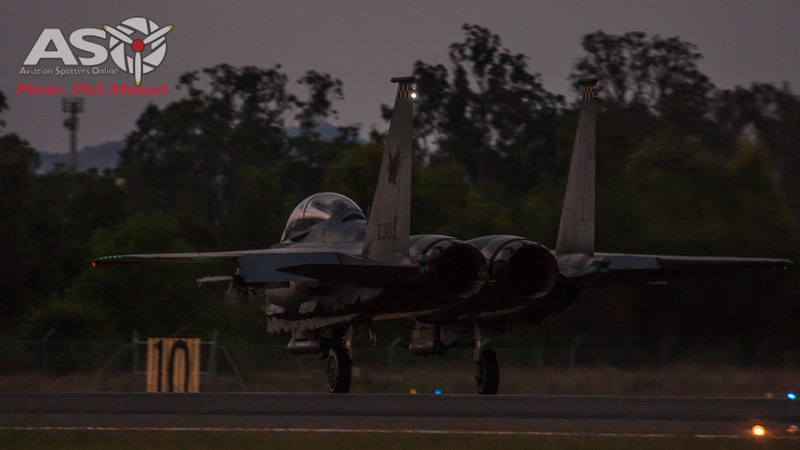 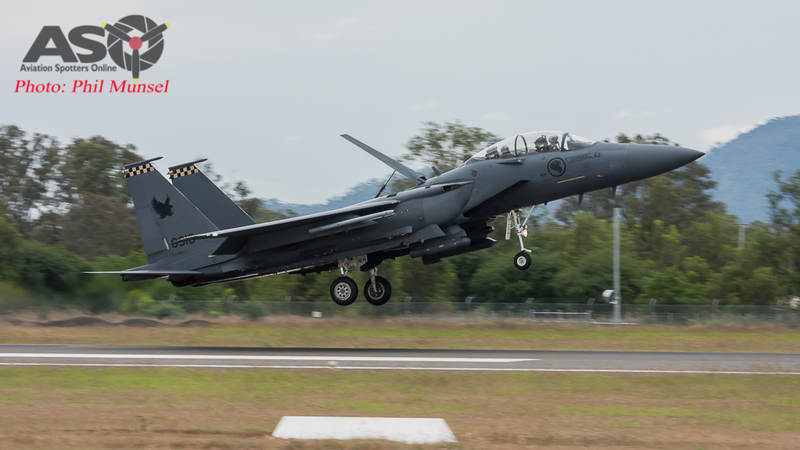 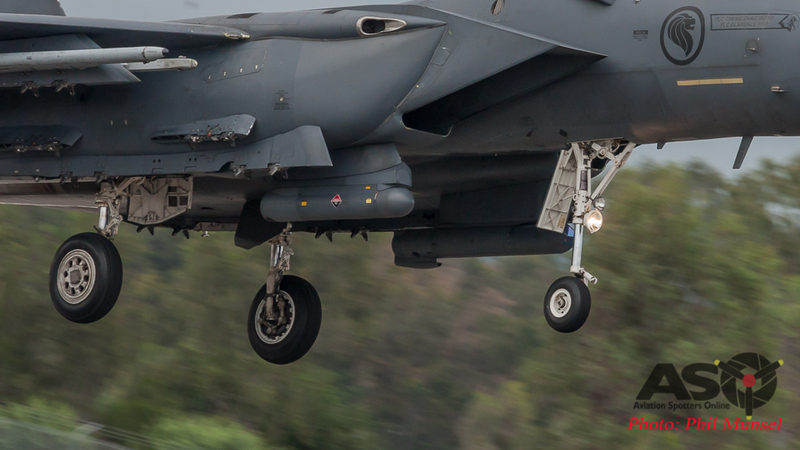 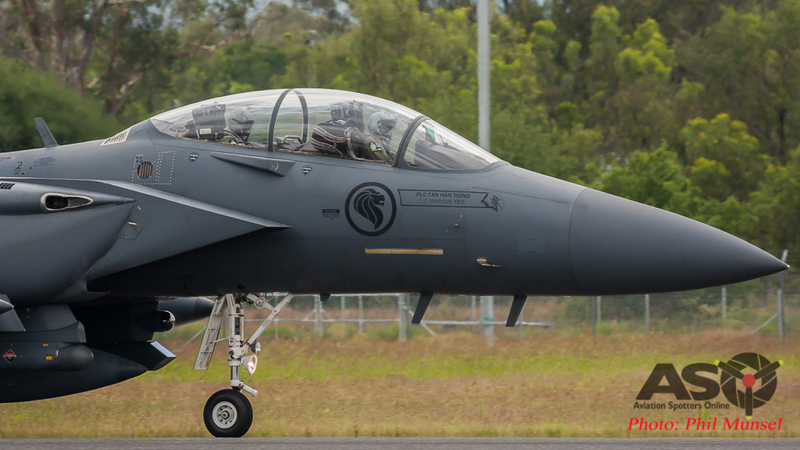 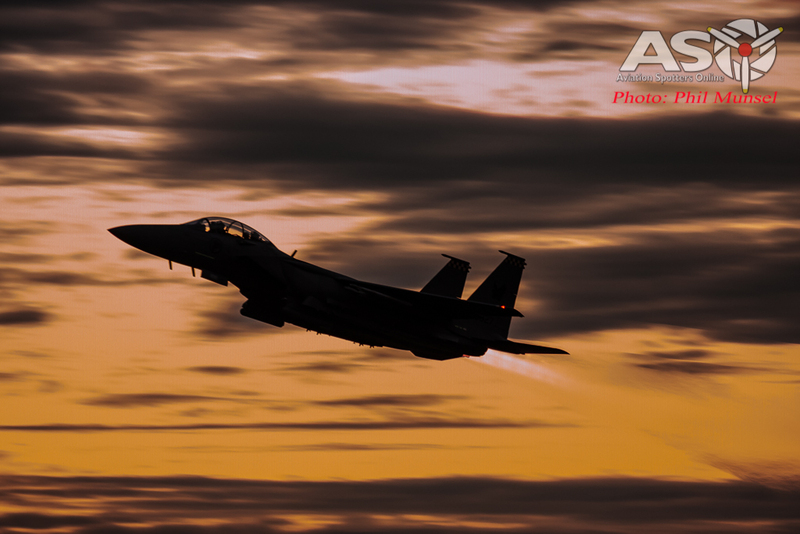 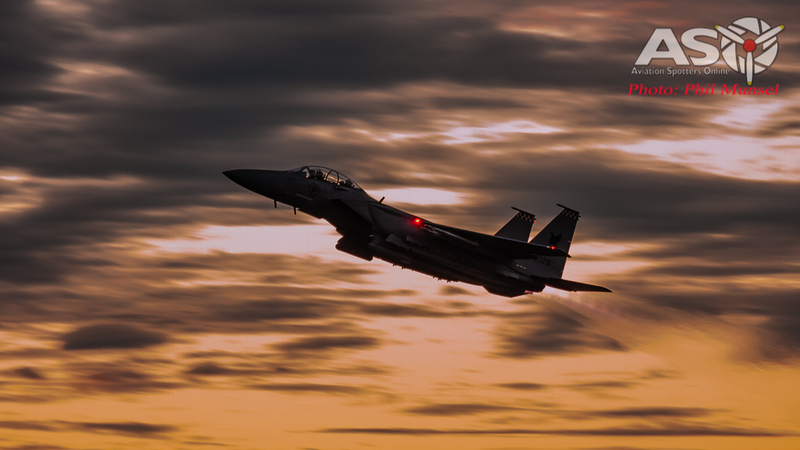 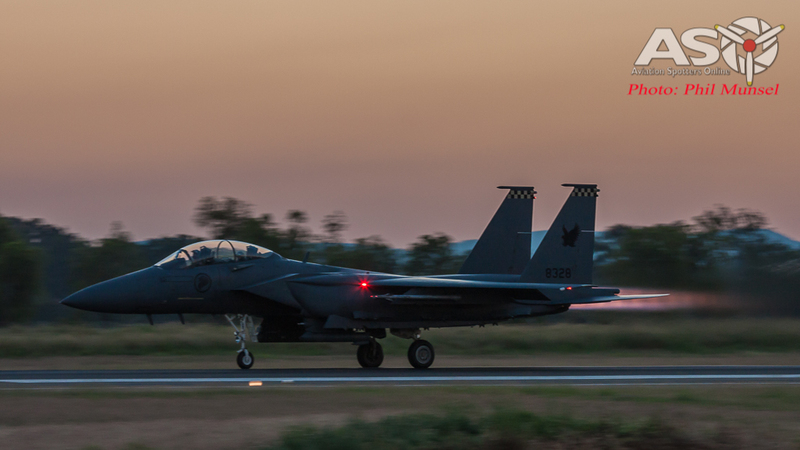 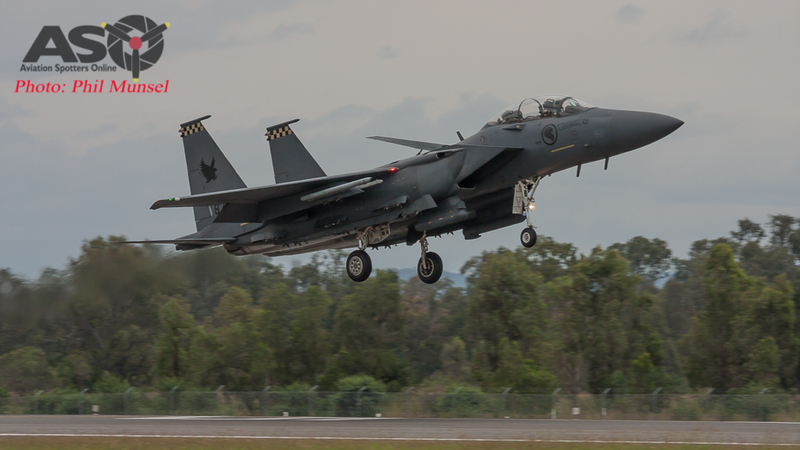 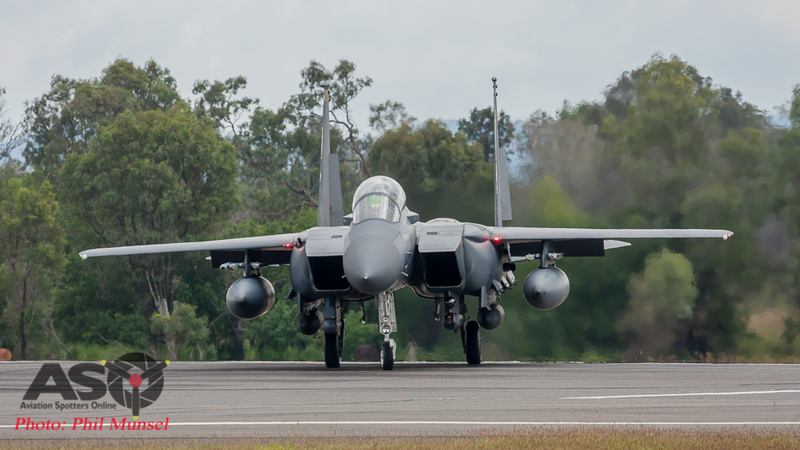 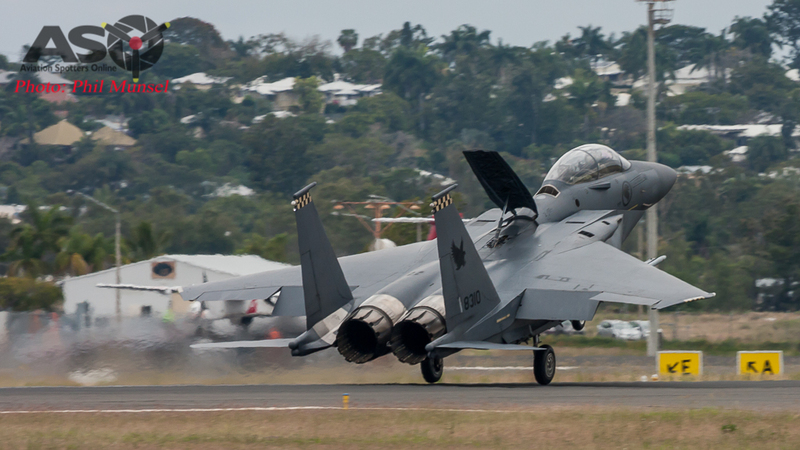 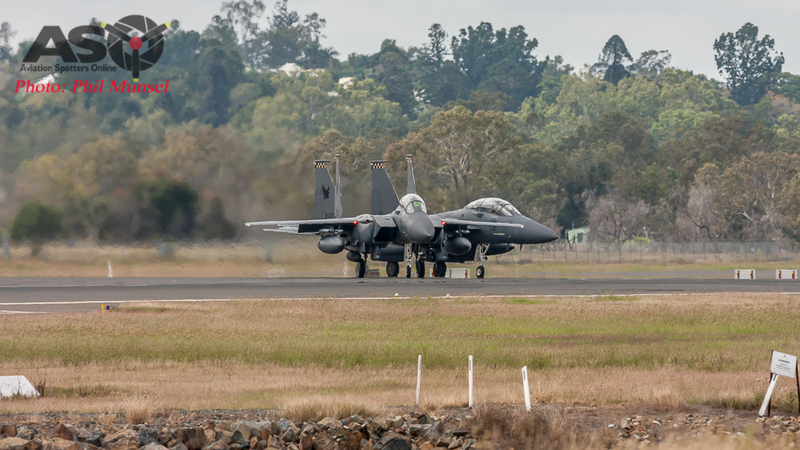 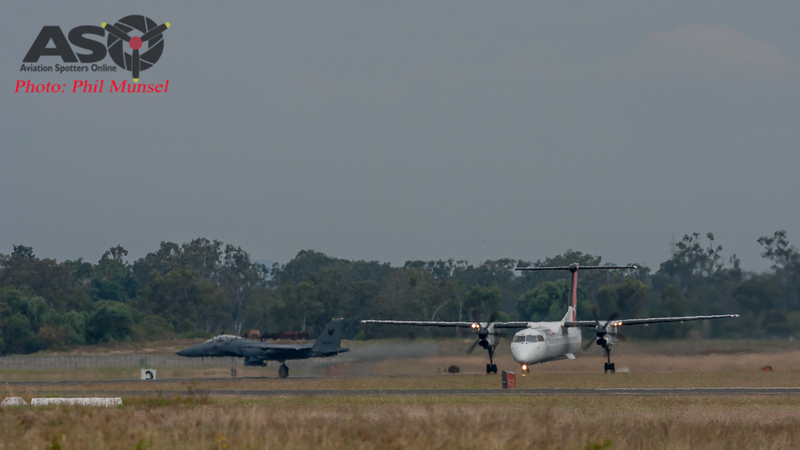 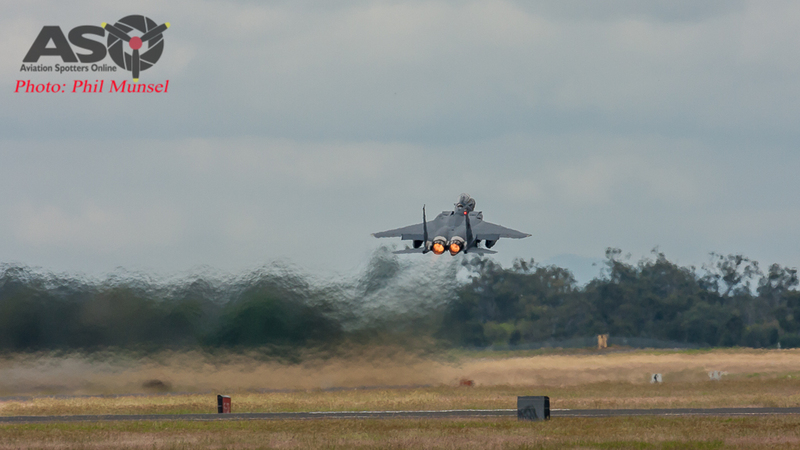 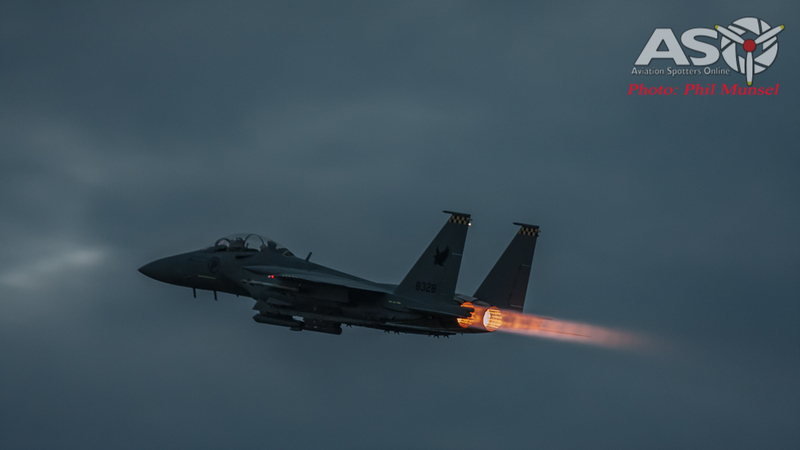 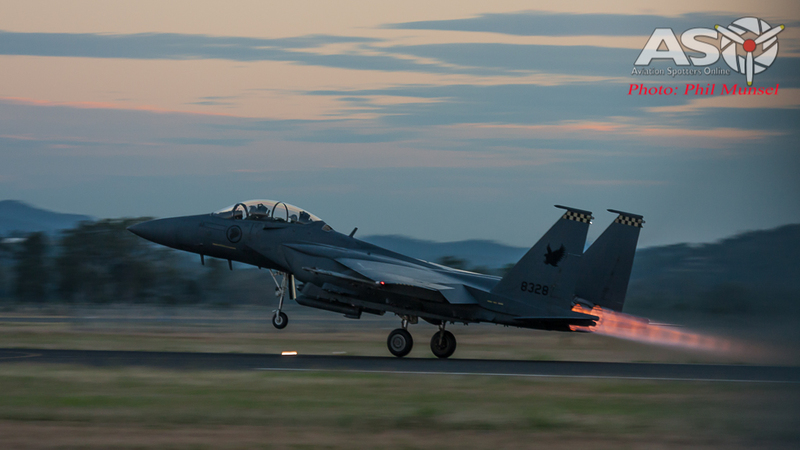 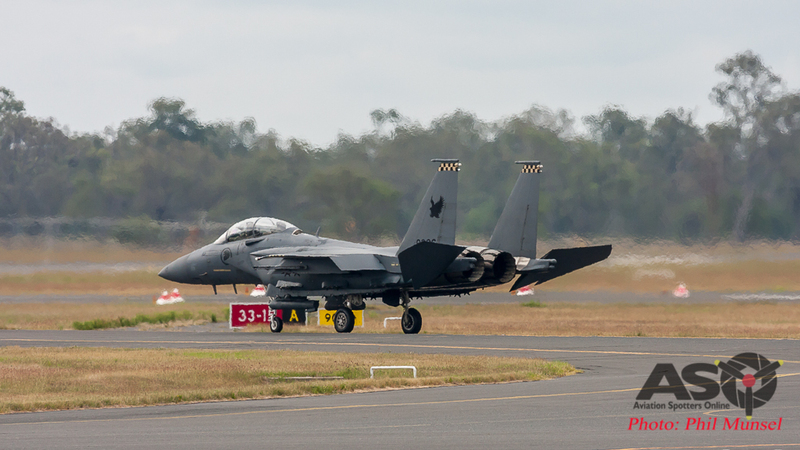 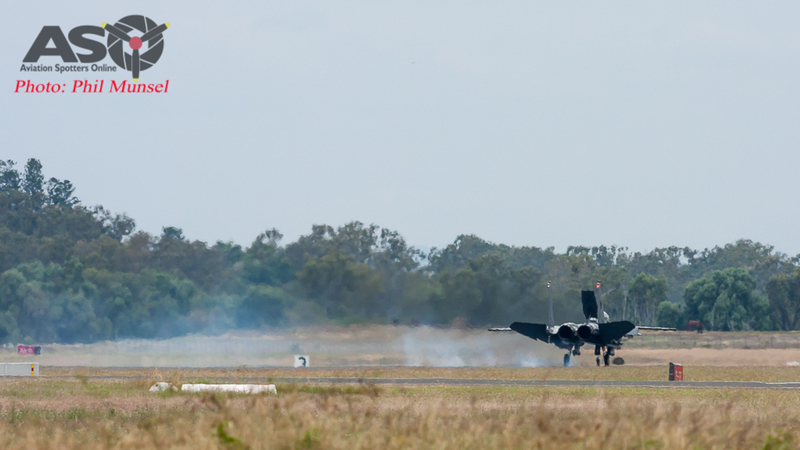 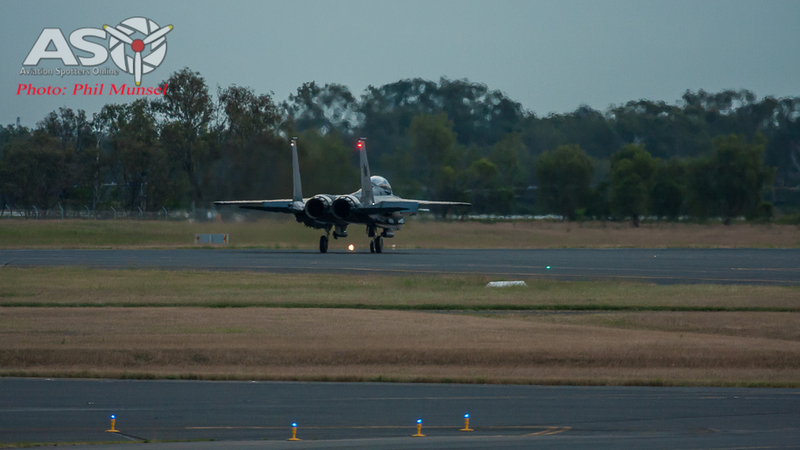 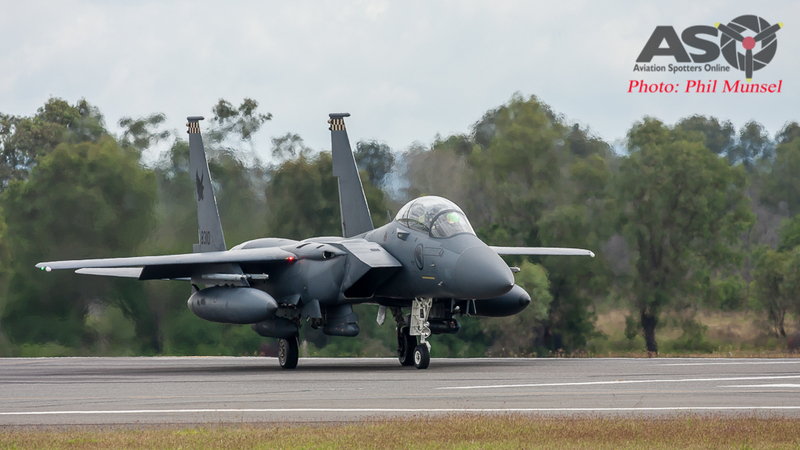 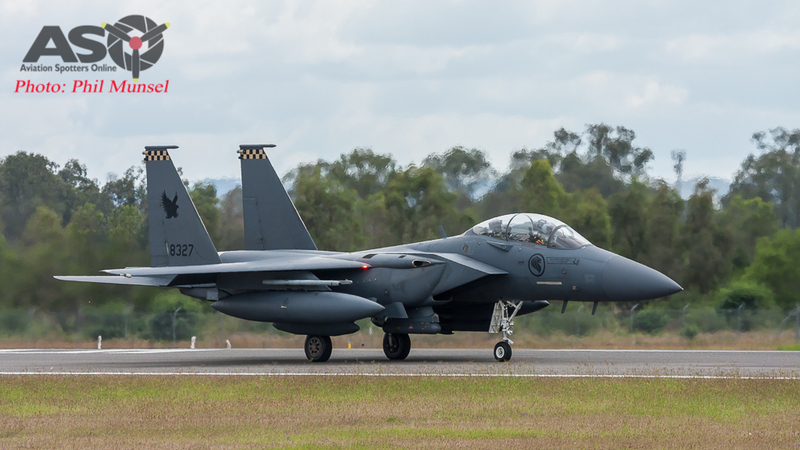 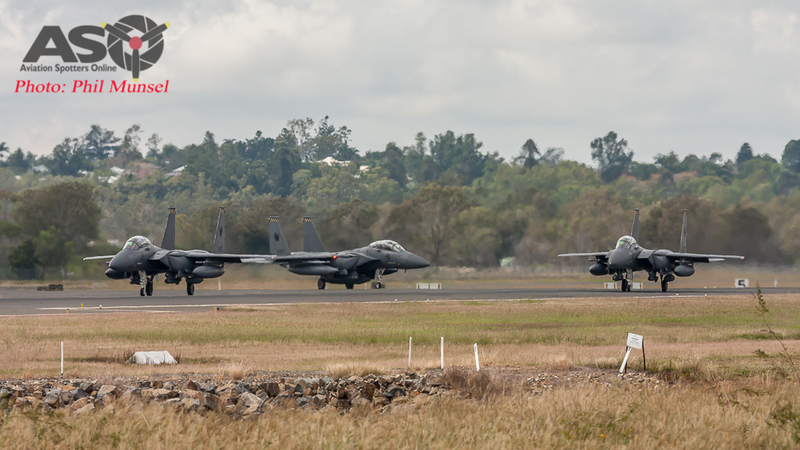 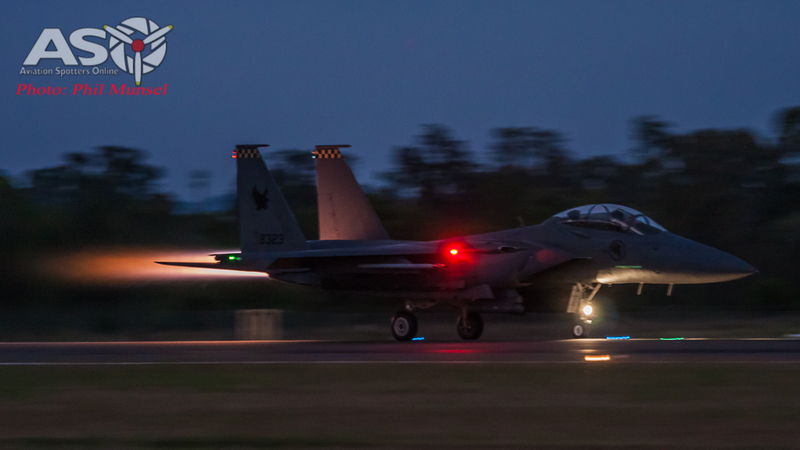 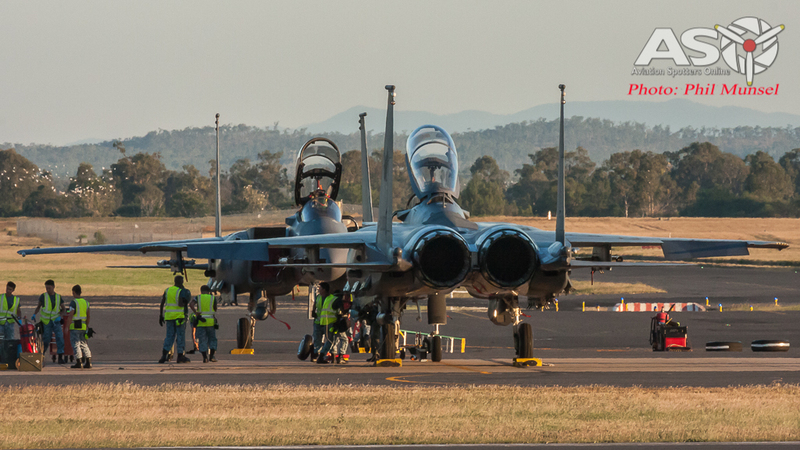 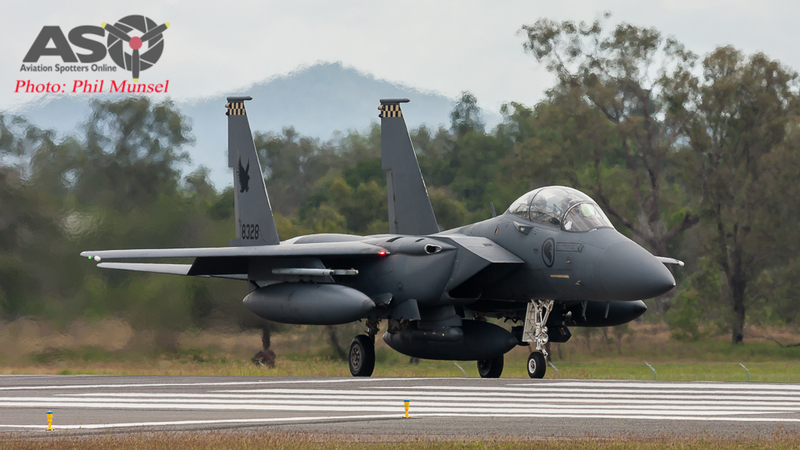 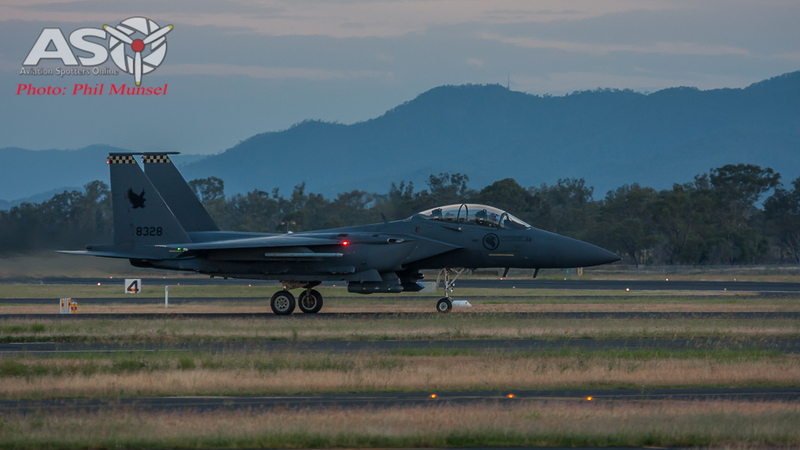 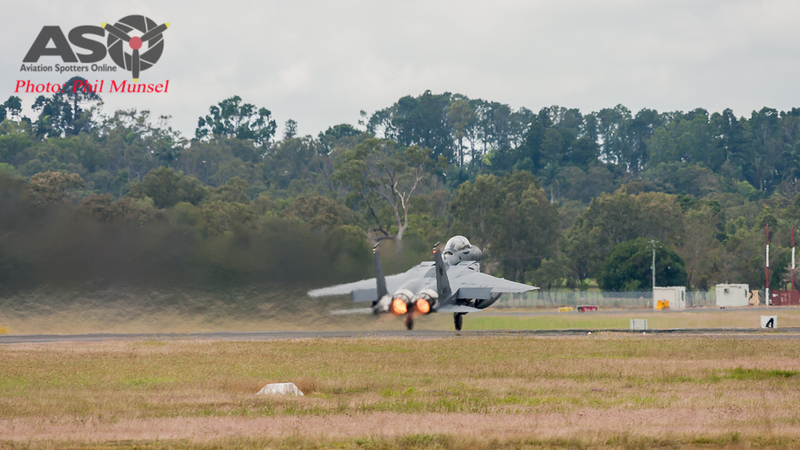 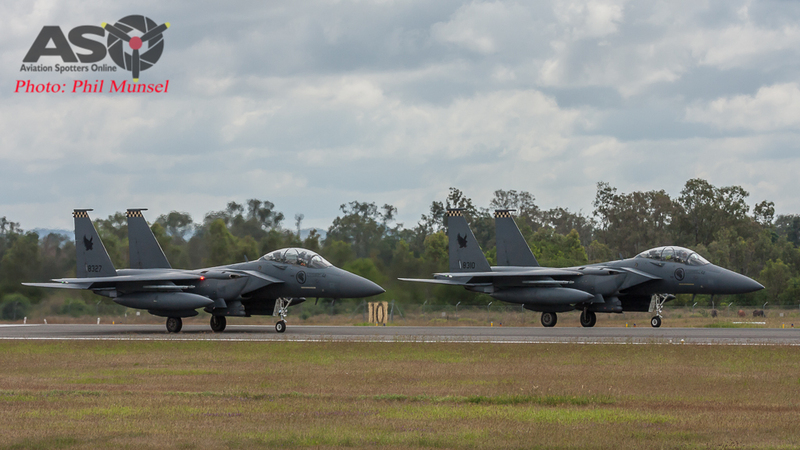 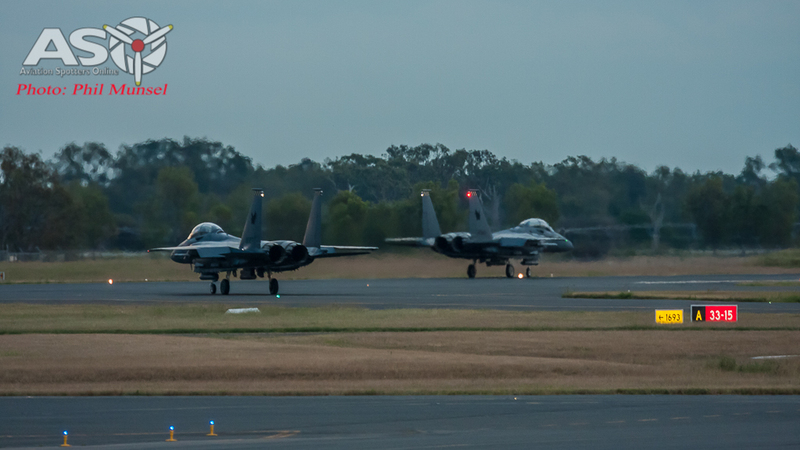 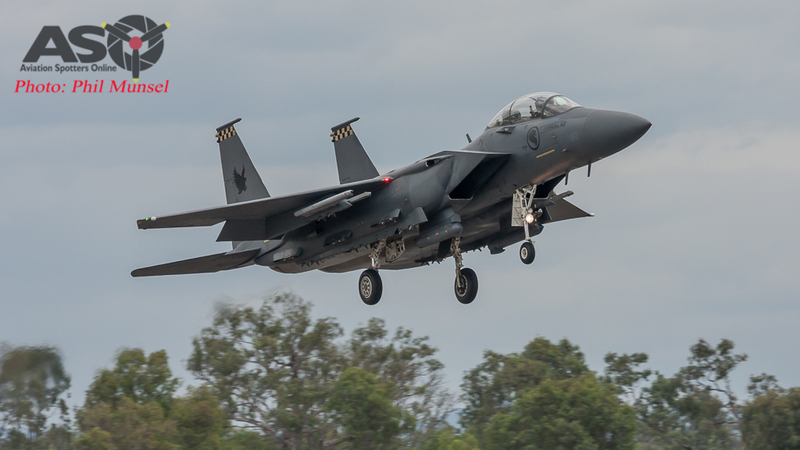 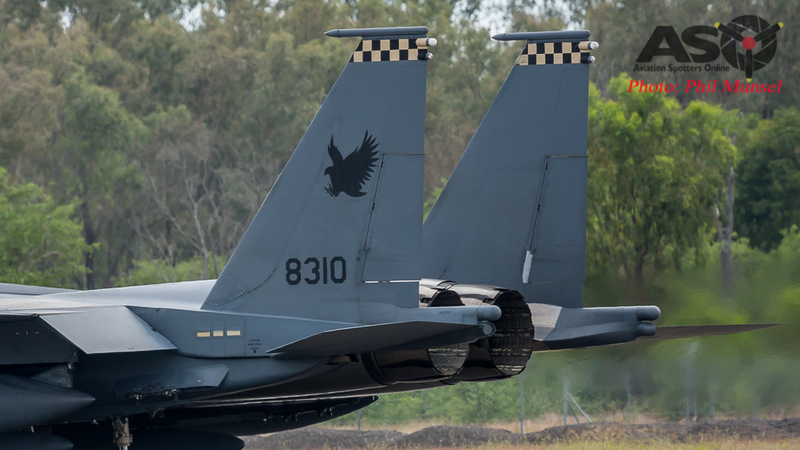 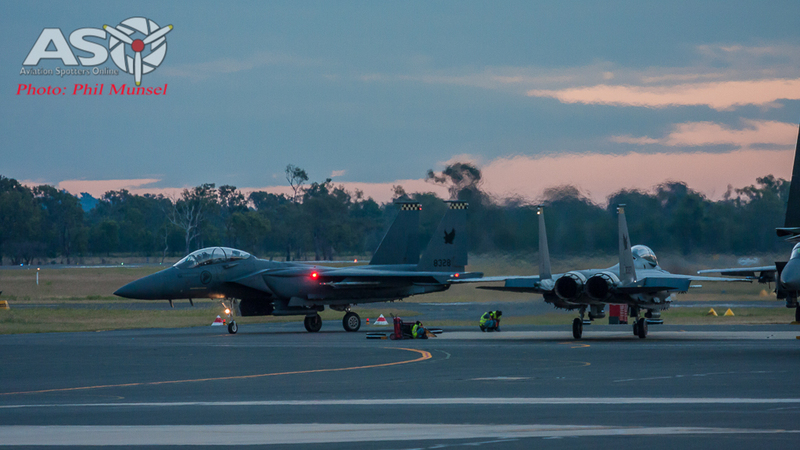 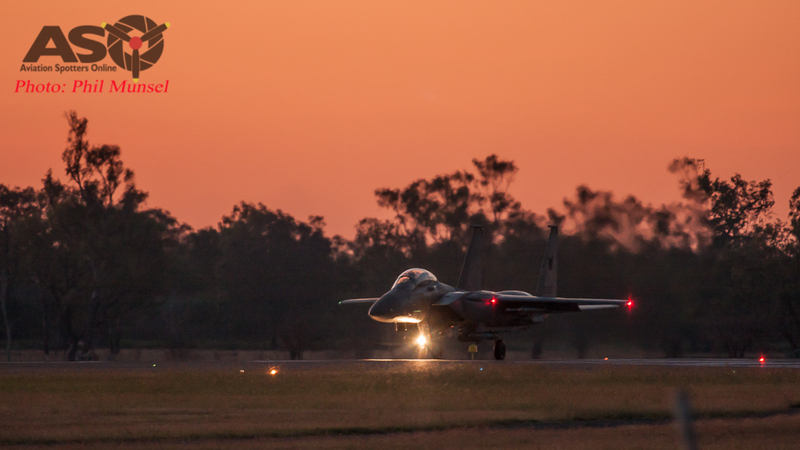 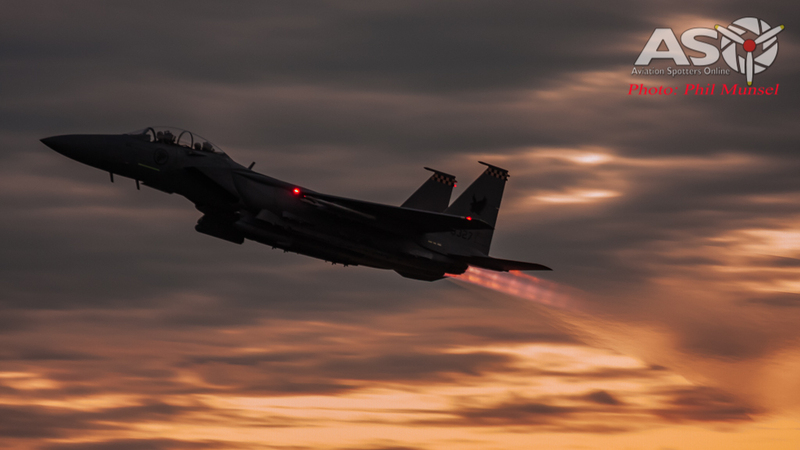 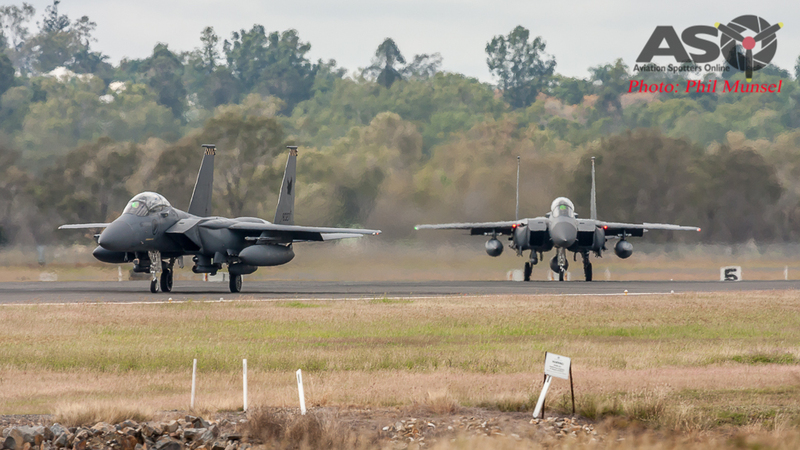 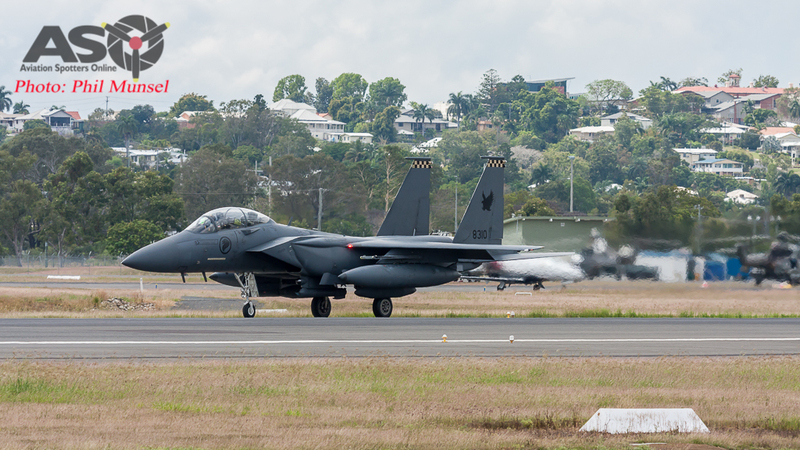 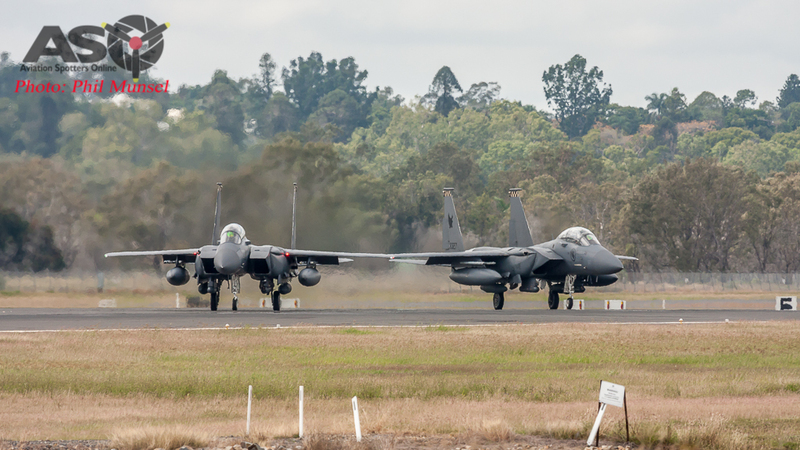 Out of the eight F-15SG’s who participated in Exercise Pitch Black 2016 two were believed to have returned home while the remaining six relocated to RAAF base Amberley for a further 3 weeks to conduct a unilateral exercise. 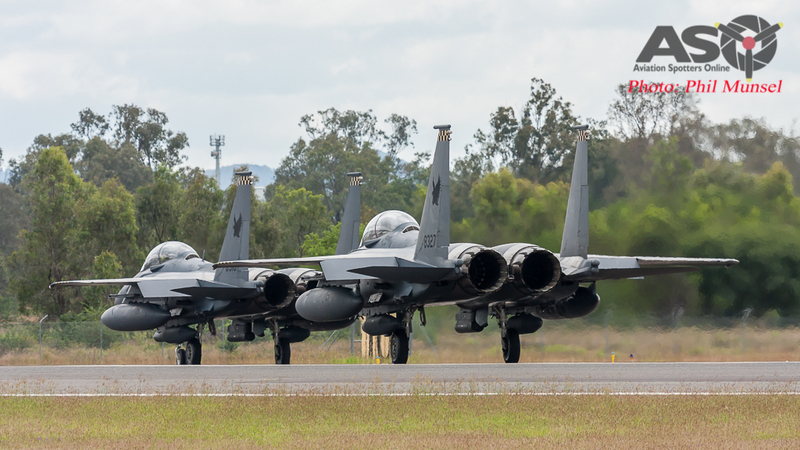 These six are now on their final operation here in Central Queensland before returning home to Singapore. 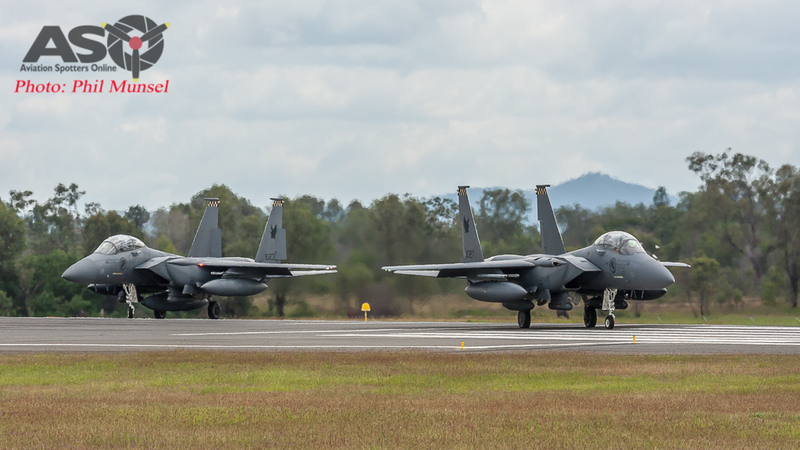 RSAF F-15SG’s Preparing for another sortie. 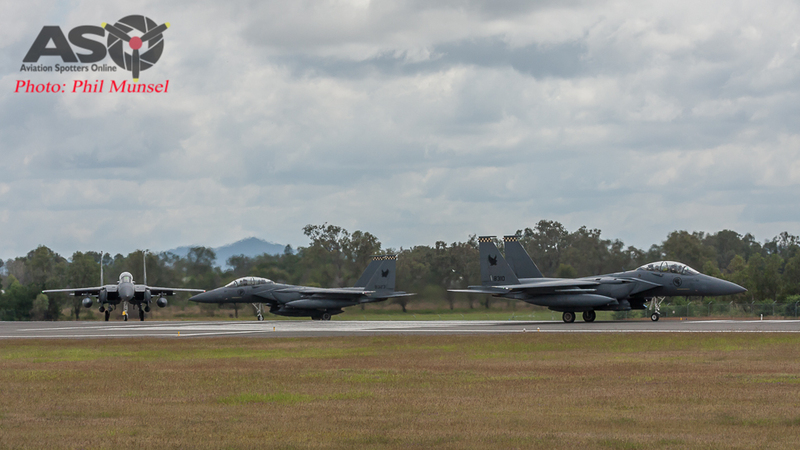 2016 marks the 26th year that Singapore has been participating in Exercise Wallaby here in Central Queensland, Rockhampton, Australia. 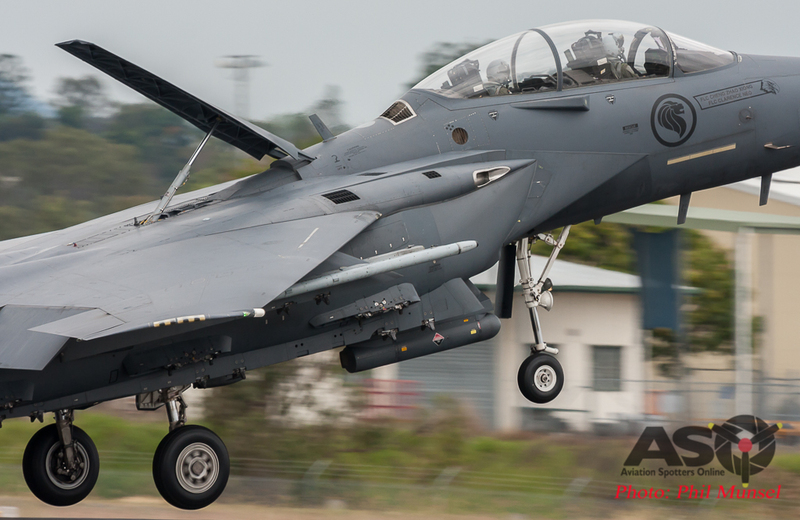 Singapore Armed Forces (SAF) choose to train here in the Shoal Water Bay Training Area (SWBTA) due to the large land space available. 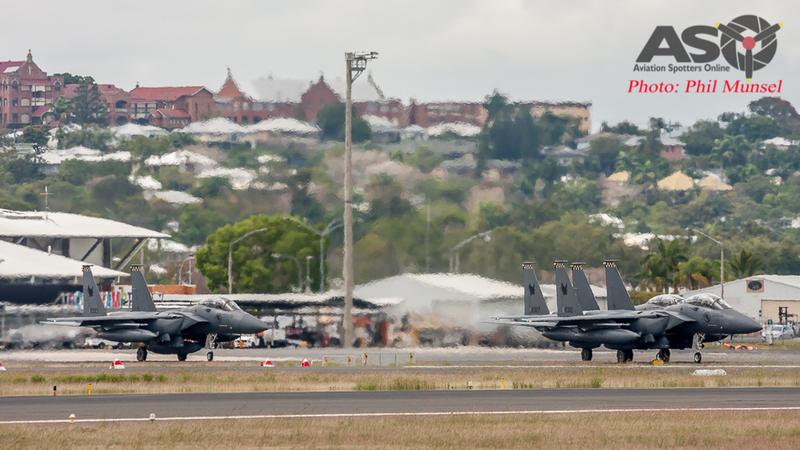 SWBTA boasts a land size approximately 4 times the size of the Island City State of Singapore. 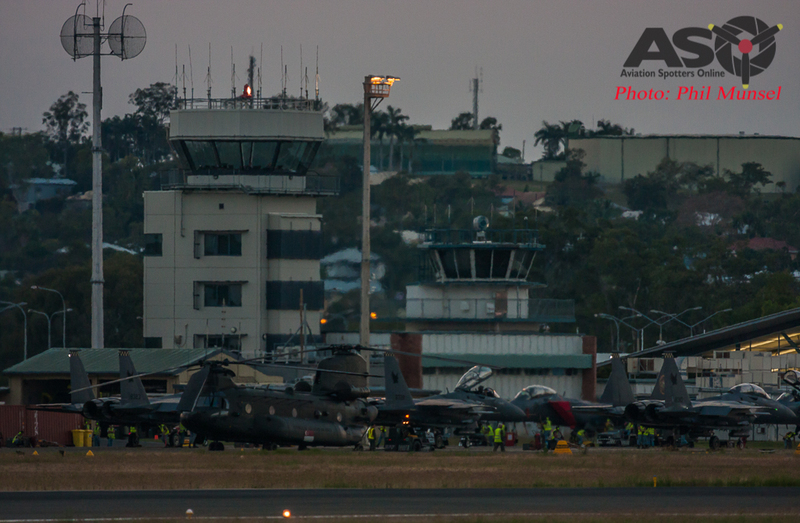 The SAF bring all kinds of aircraft, vehicles and equipment for their deployment, from armoured vehicles, helicopters and fast jets. 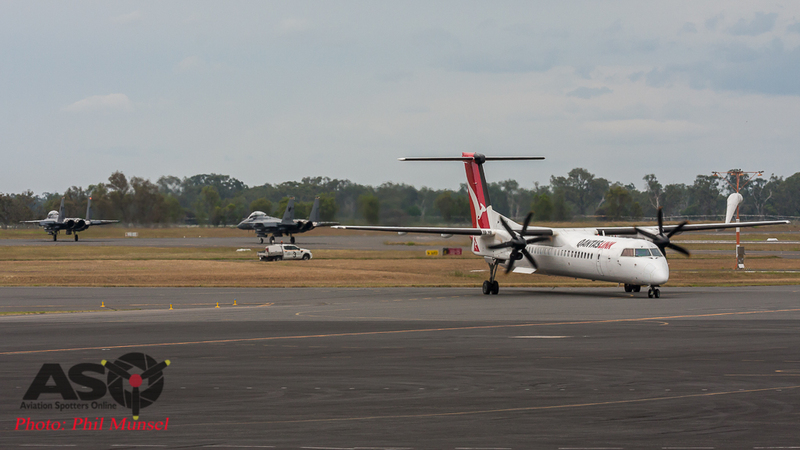 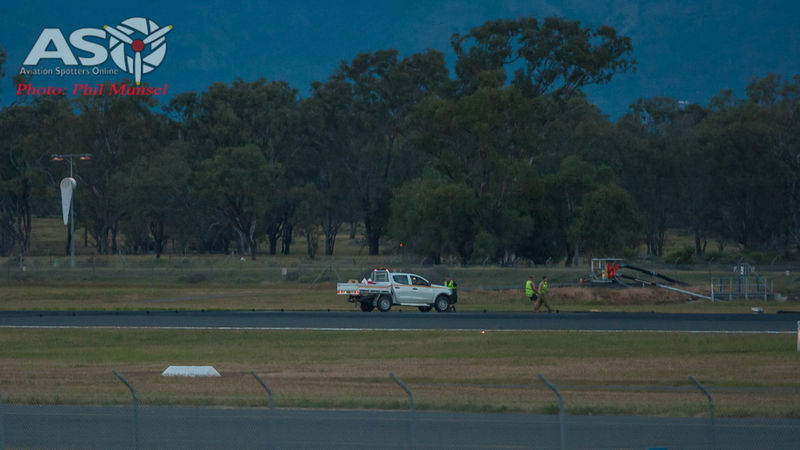 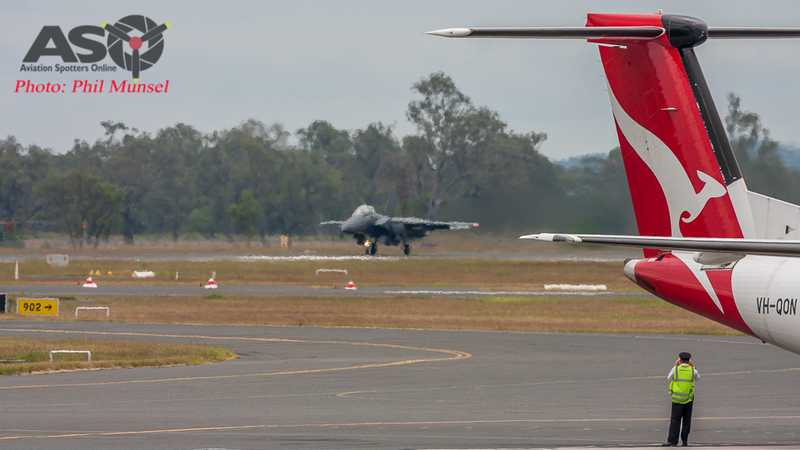 Last year saw Chinook, Apache and Super Puma Helicopters and F-16D fighter jets operate out of Rockhampton’s Regional Airport. 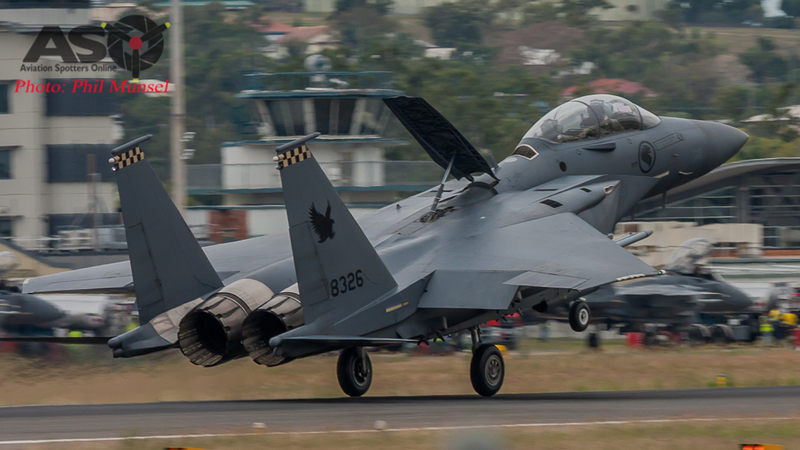 This year again sees the same type helicopters and the much anticipated F-15SG Eagle for Air-to-Air and Air-to-Ground operations. 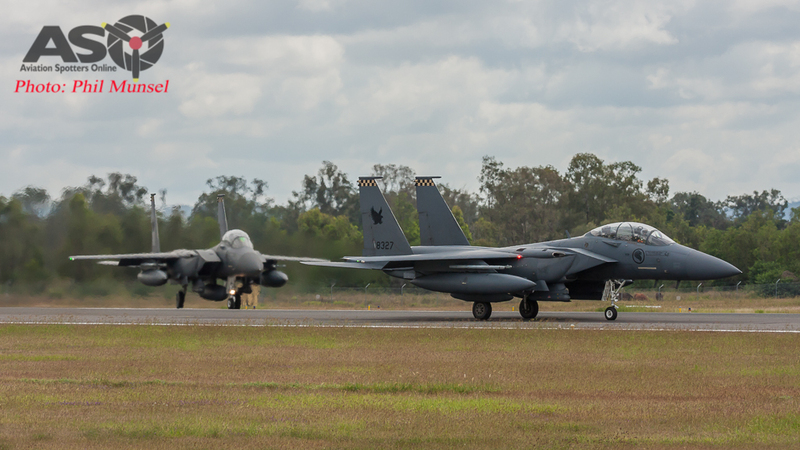 The RSAF operate the F-15SG – a variant of the popular F-15E & K models out of Paya Lebar Air Base in Singapore with two squadrons; “149 Shikra” & “142 Gryphon”. 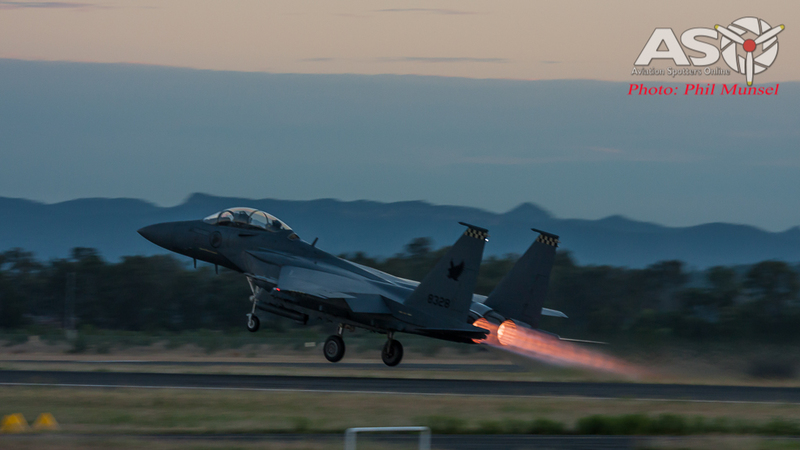 A small detachment (428th Fighter Squadron “Buccaneers”) in Mountain Air Force Base, Idaho, USA is also a permanent training squadron conducting formal fighter training for aircrew and maintenance personnel manned by joint USAF & RSAF. 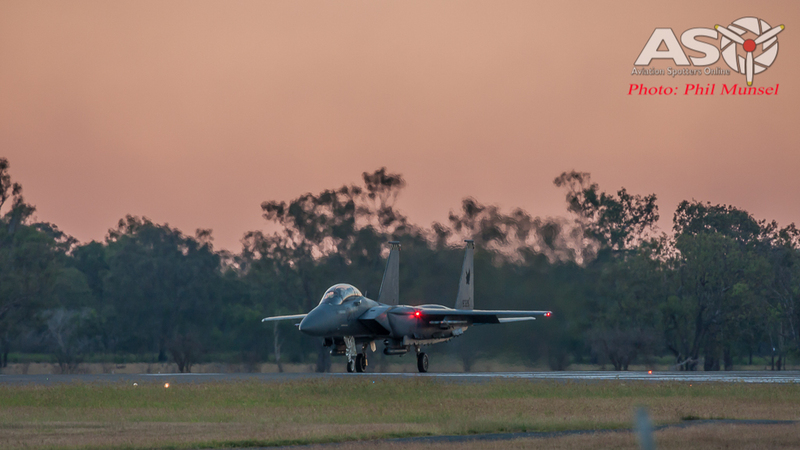 “Shikra”, “Eagle” and “Top Gun” are call signs used by the fast jets whilst on deployment here in Central Queensland. 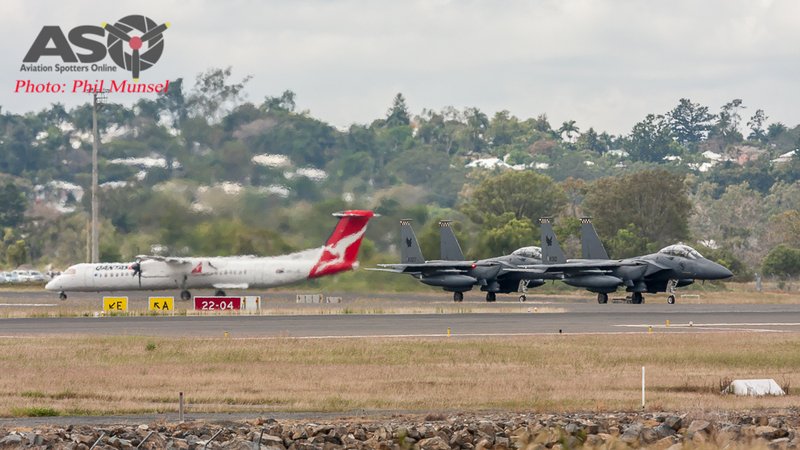 Operations were watched with amazement by both locals and die hard plane spotters who travelled a long way to catch a glimpse of the fast jets. 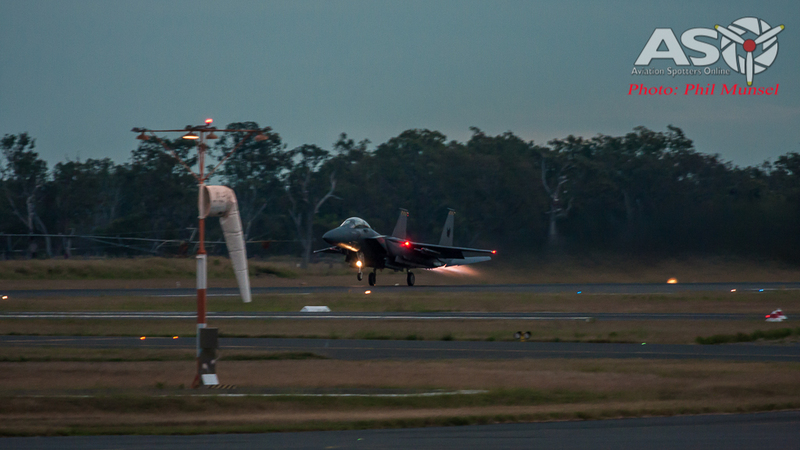 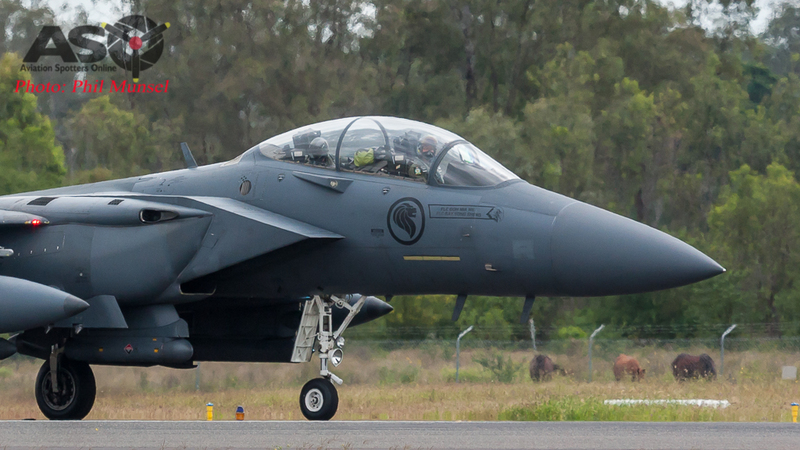 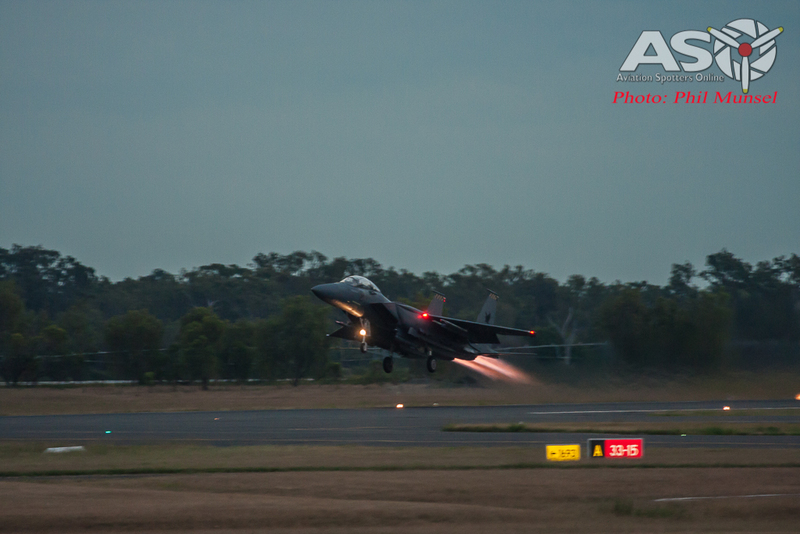 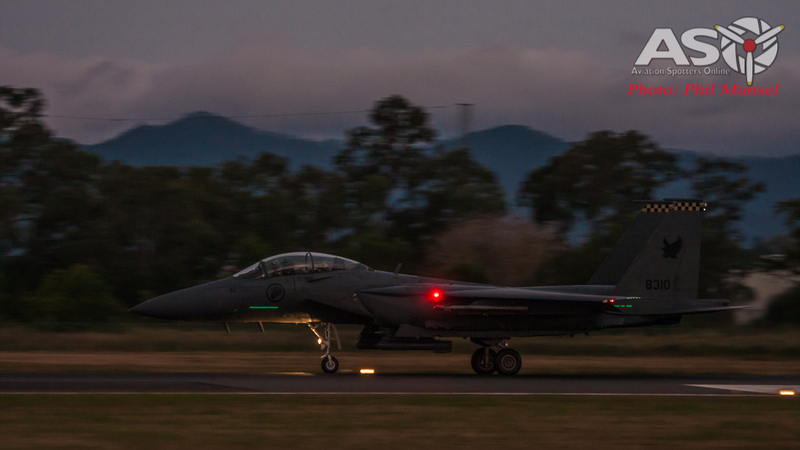 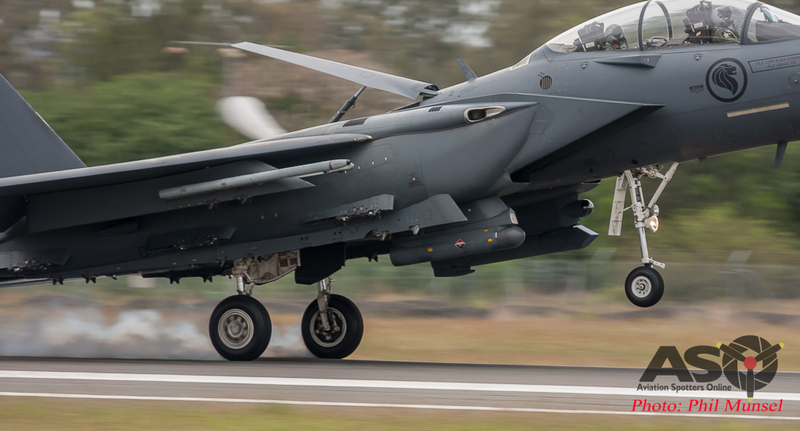 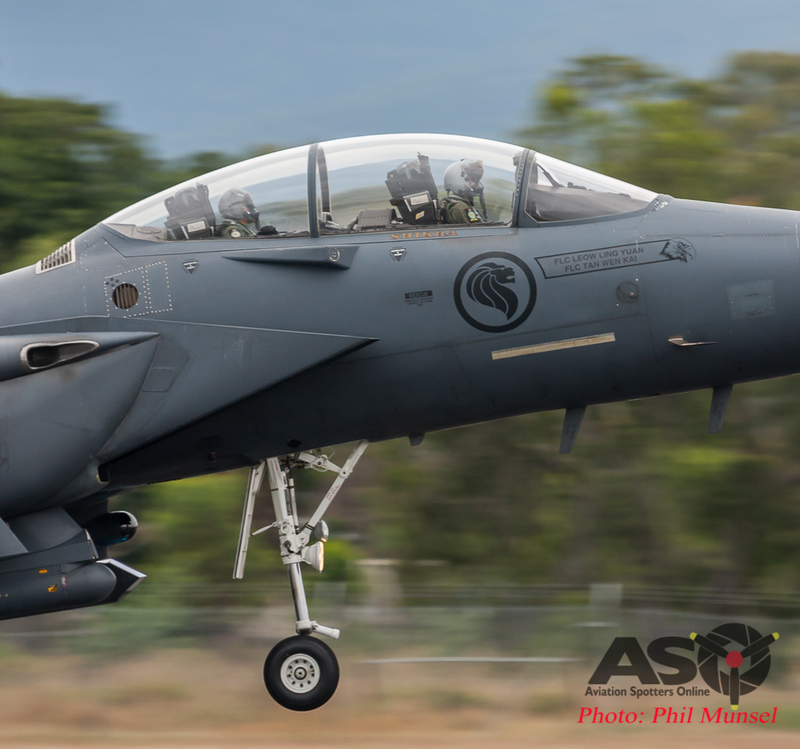 “Shikra” F-15SG Launching from Rockhampton Airport to transit to SWBTA for another training mission. 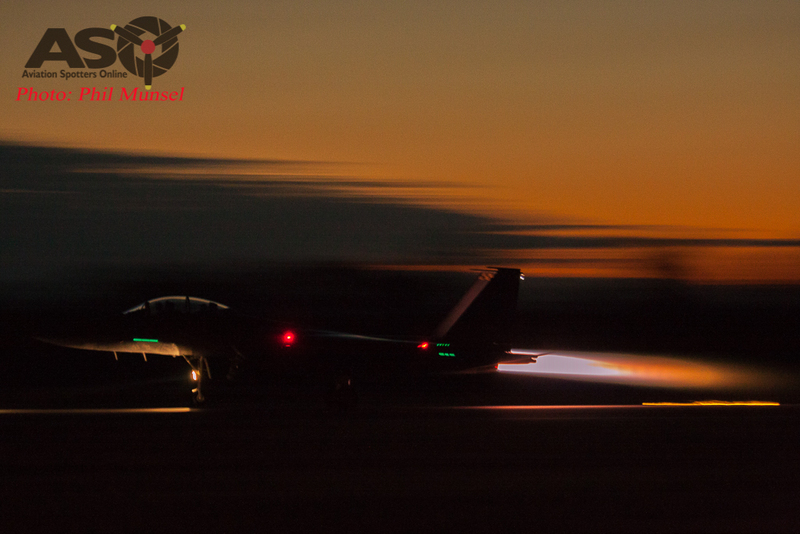 Day and Night operations were conducted with two, and sometimes three, sorties each day. 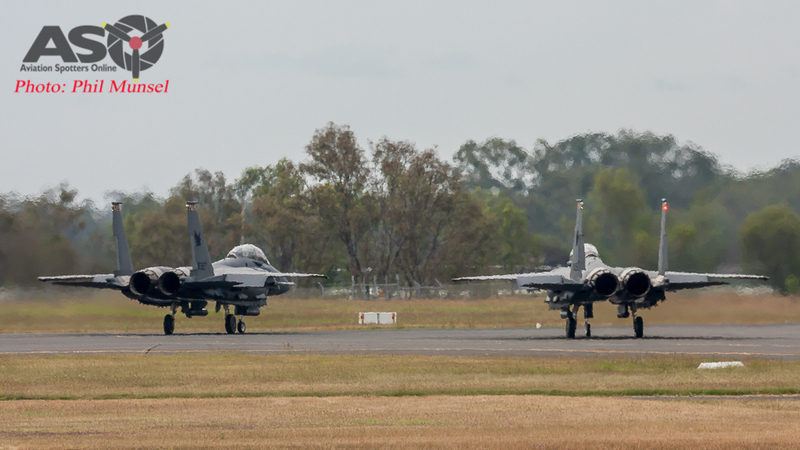 Aircraft were generally operating in pairs when departing and on returning to base were spaced approximately 10 minutes apart individually. 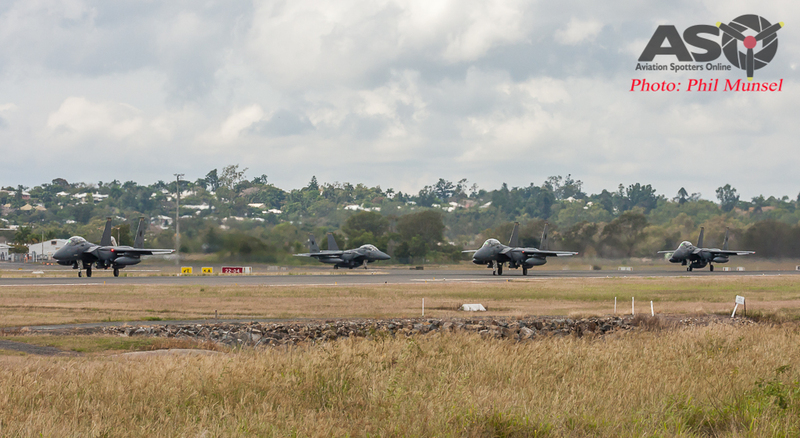 As this is the first time the F-15’s have deployed here, it was found that the Runway 15/33 of 2628m was the shortest they have landed on. 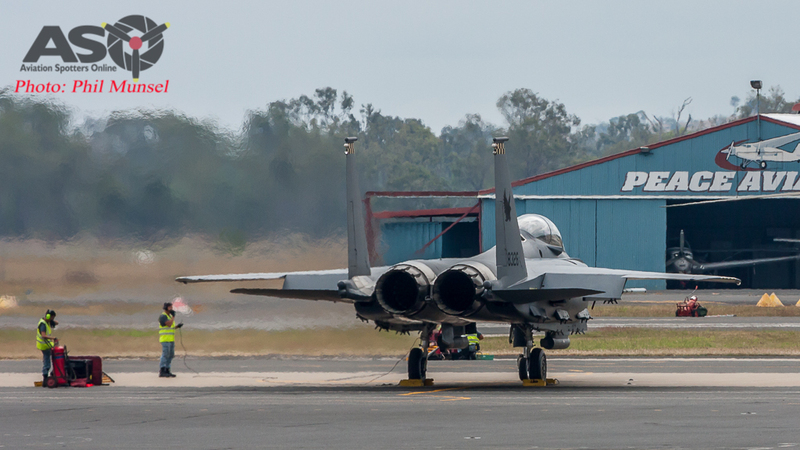 As a safety precaution, the “Cable Party”, a team of professional military personnel, were required to “Rig” and “Derig” an arresting cable at the southern end of the runway whenever the fast jets were launching/recovering. 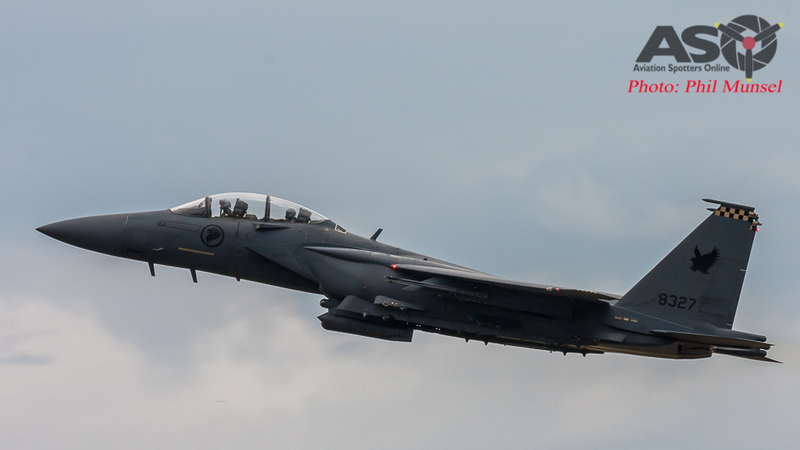 The pilots showed great skill in operating these large aircraft and never needed to use the cable. 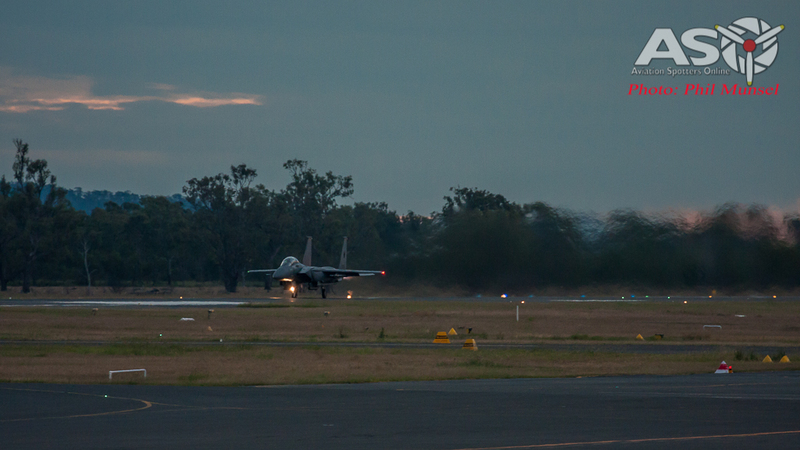 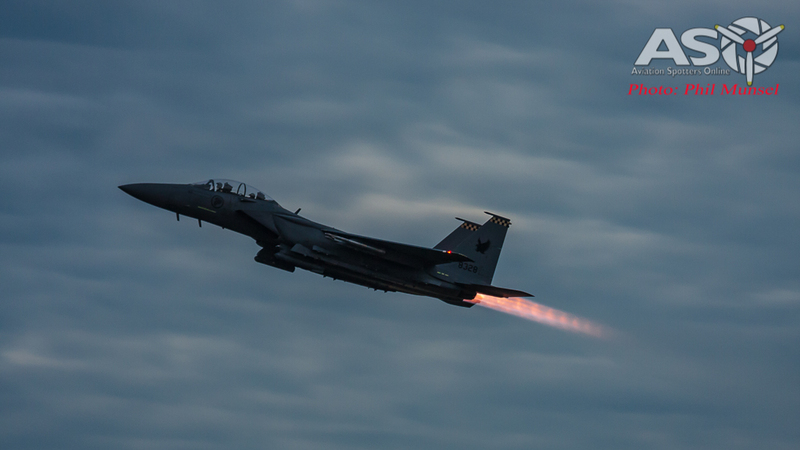 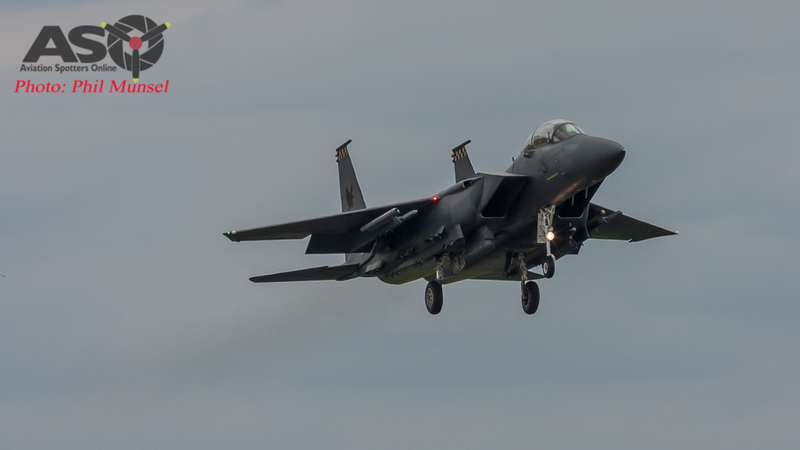 I observed the operations of the F-15’s in all parts of the day and captured various photos throughout the exercise. 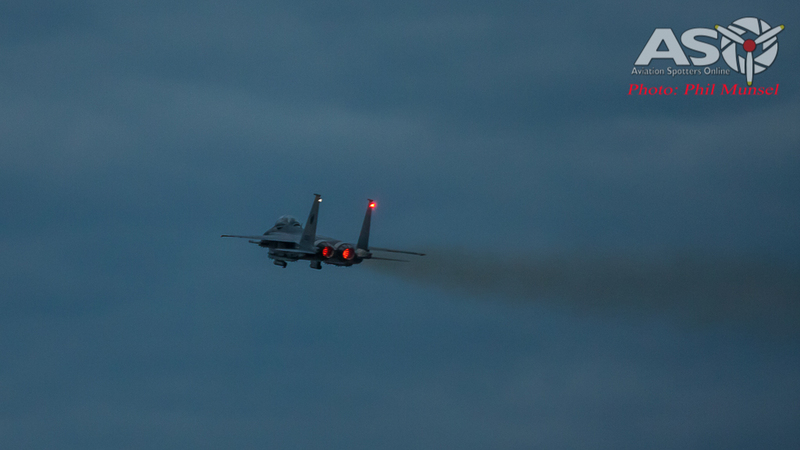 Each time I was out & about trying to get a shot of these aircraft, I noticed there was always a crowd of people doing the same. 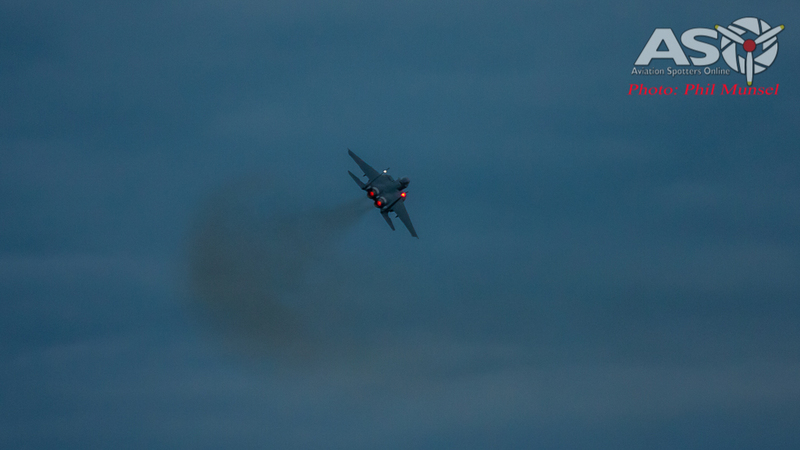 My favourite part was a full afterburner launch on dusk! 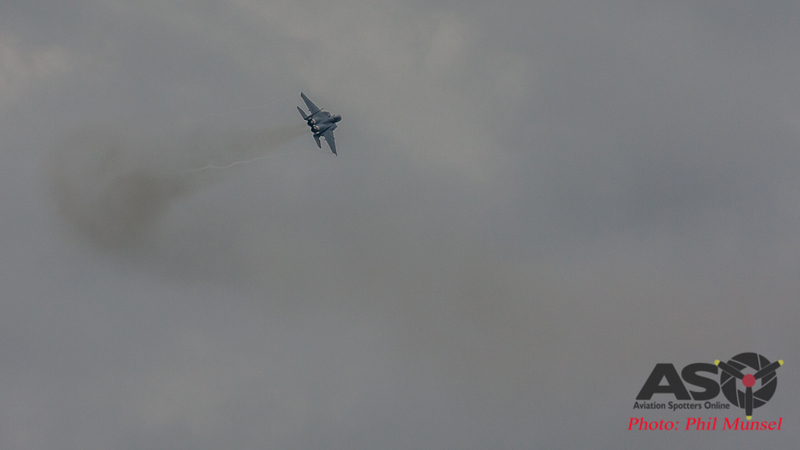 It was impressive and a real pleasure to see fast jet operations. 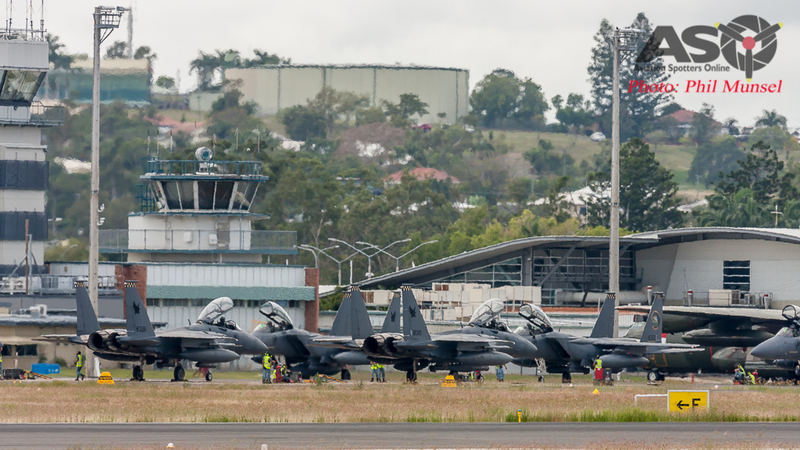 Whilst the F-15’s have now returned home, I am very much looking forward to next year, with SAF announcing its increased training operations in the region in 2017. 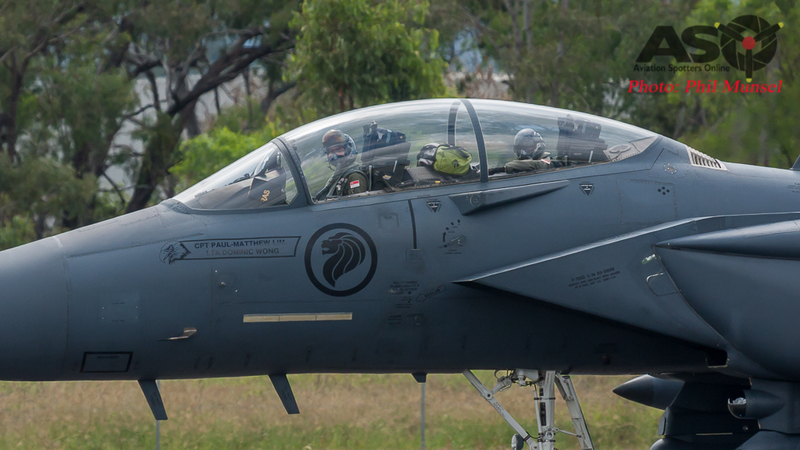 RSAF maintenance crew make sure the jets are ready for the next mission.